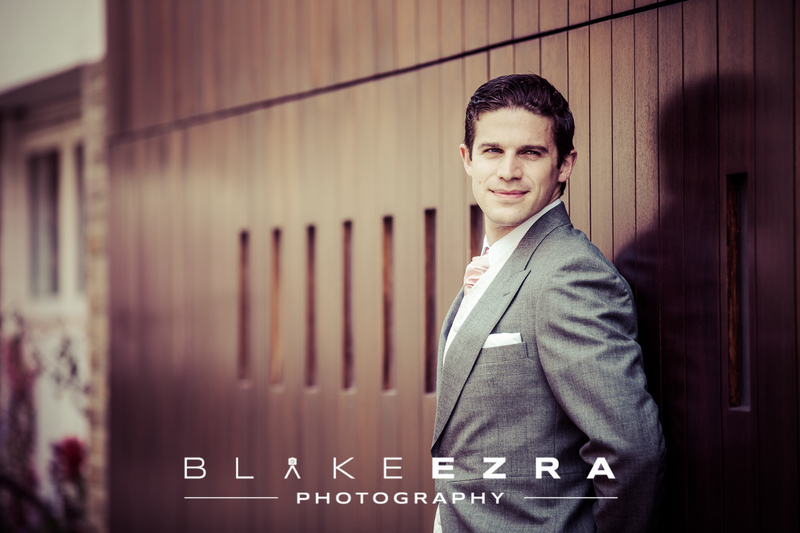 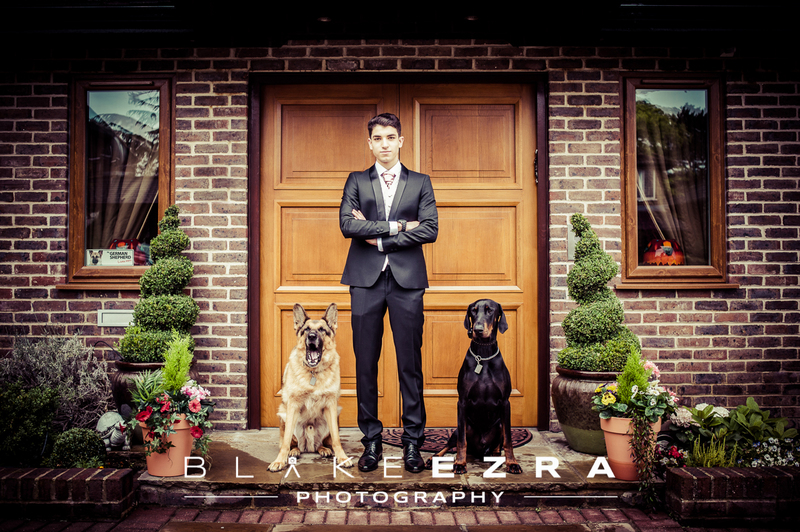 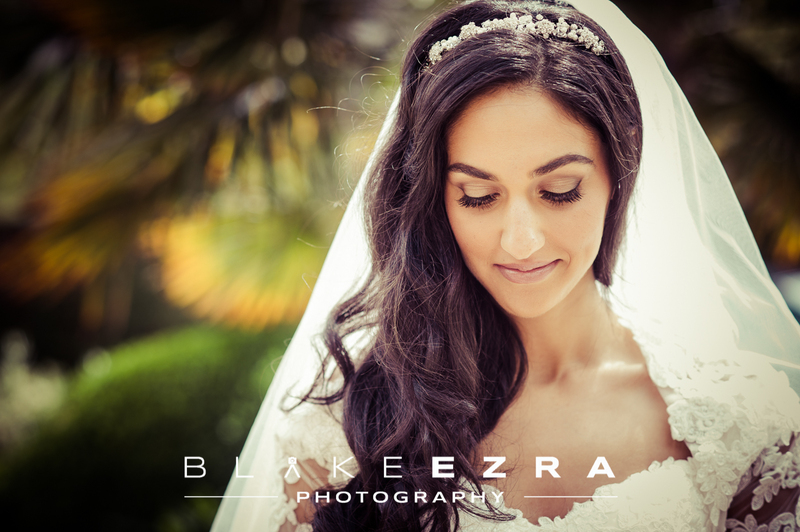 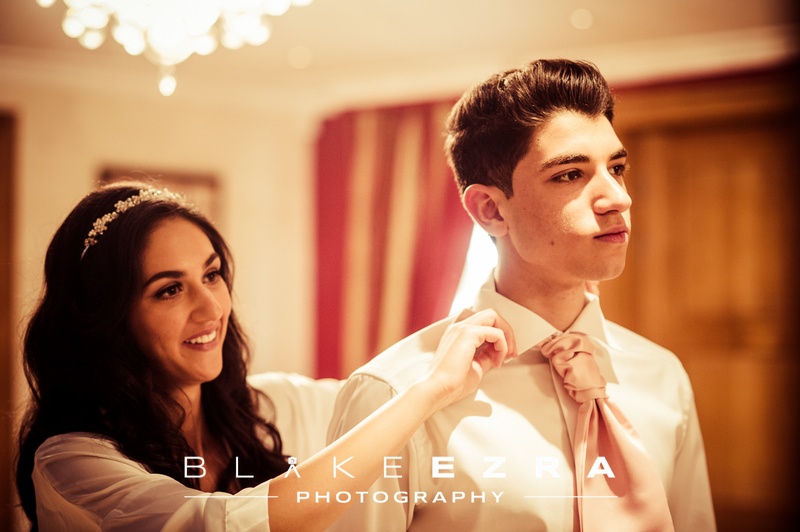 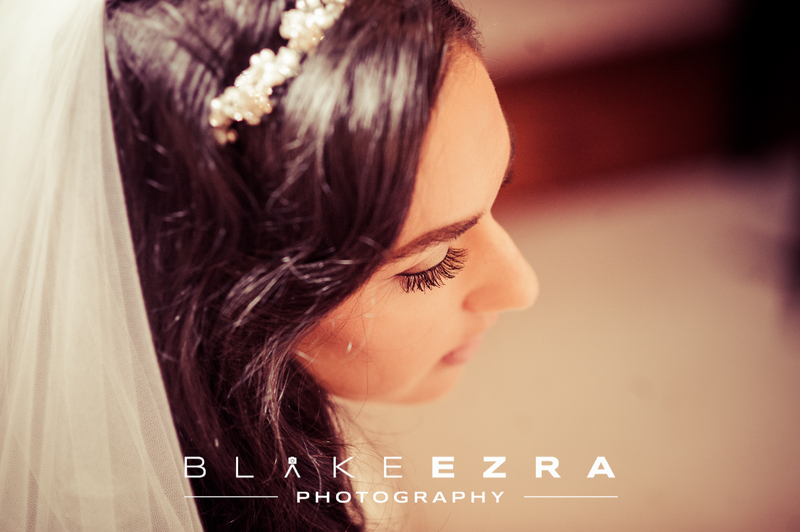 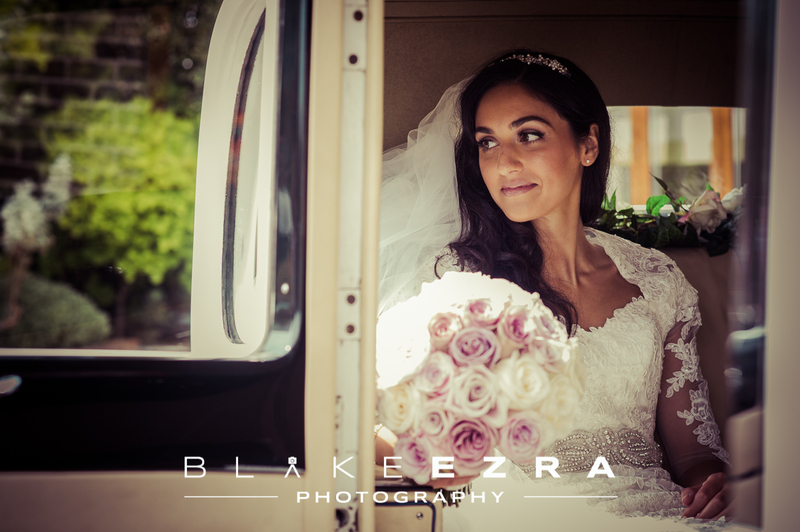 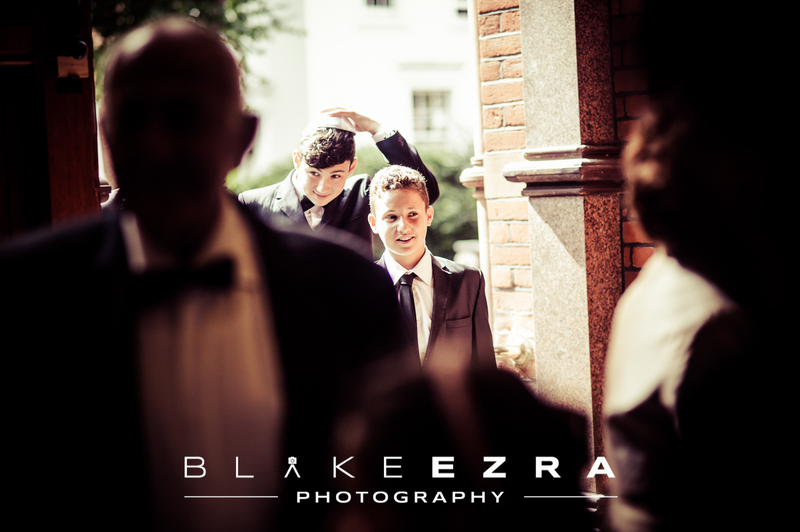 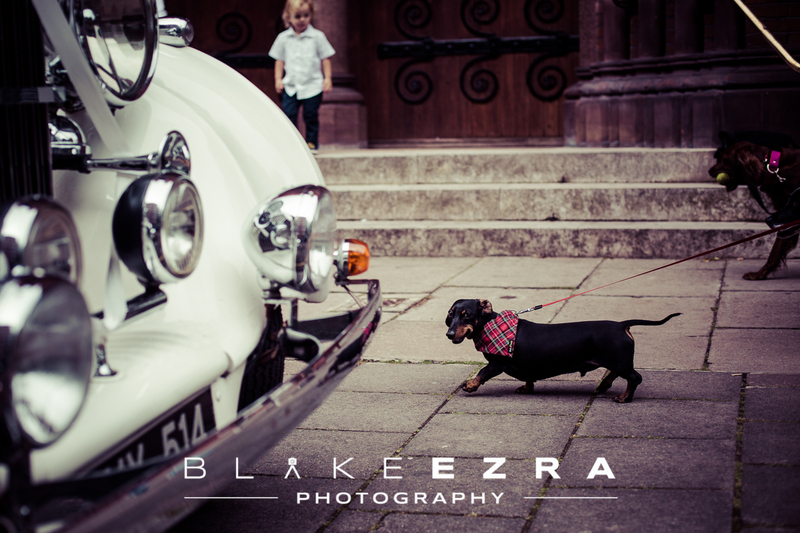 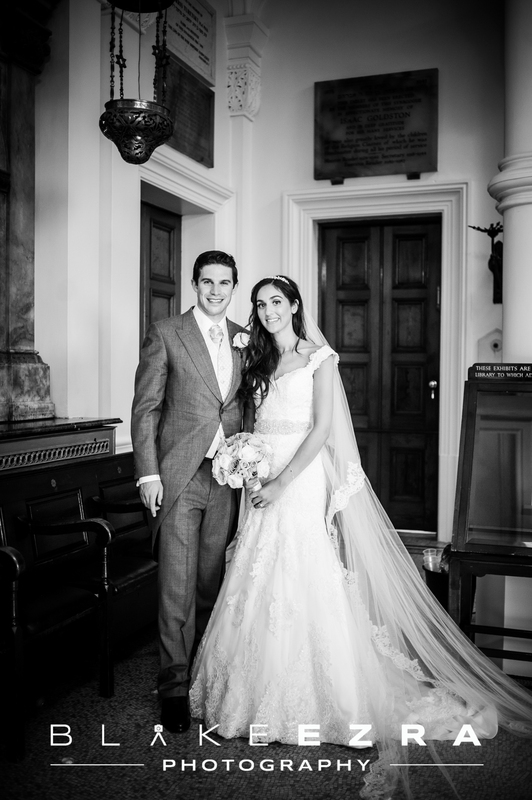 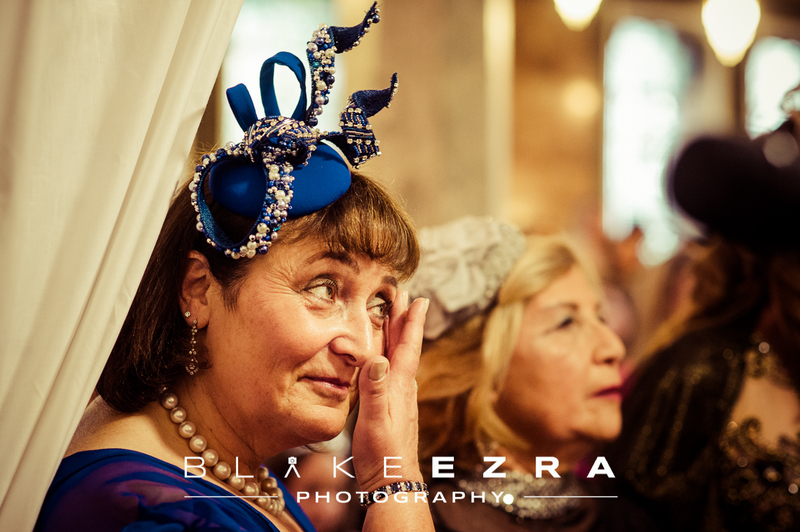 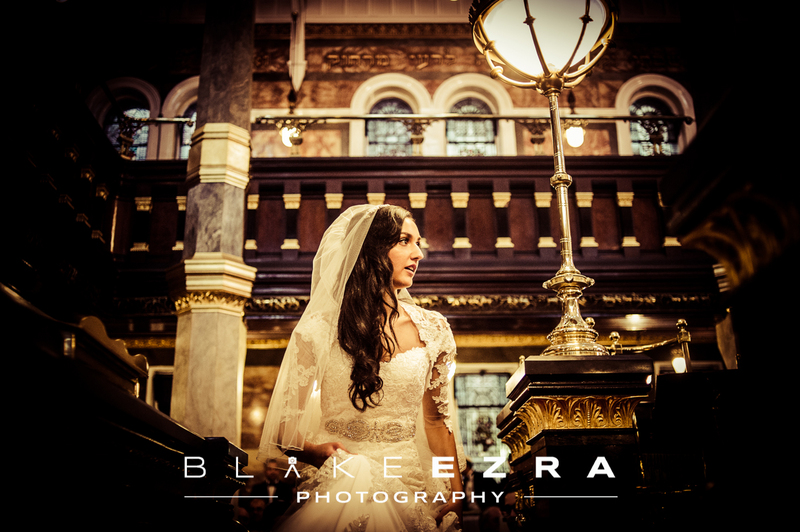 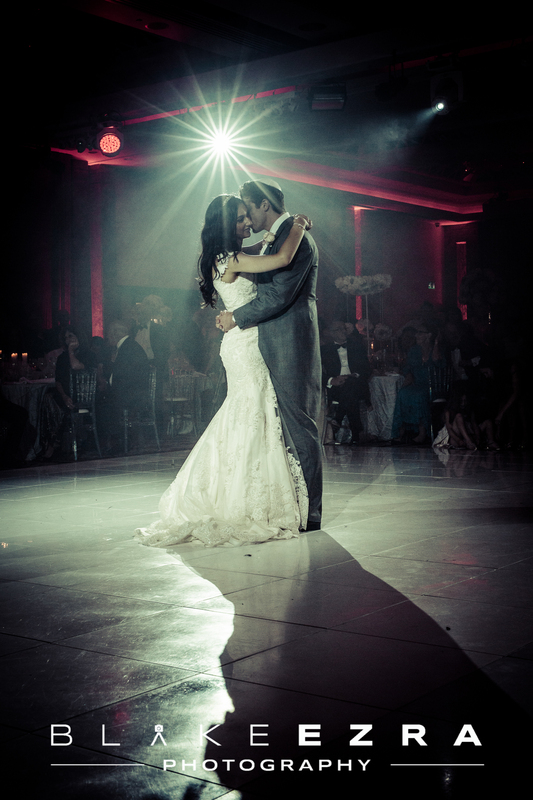 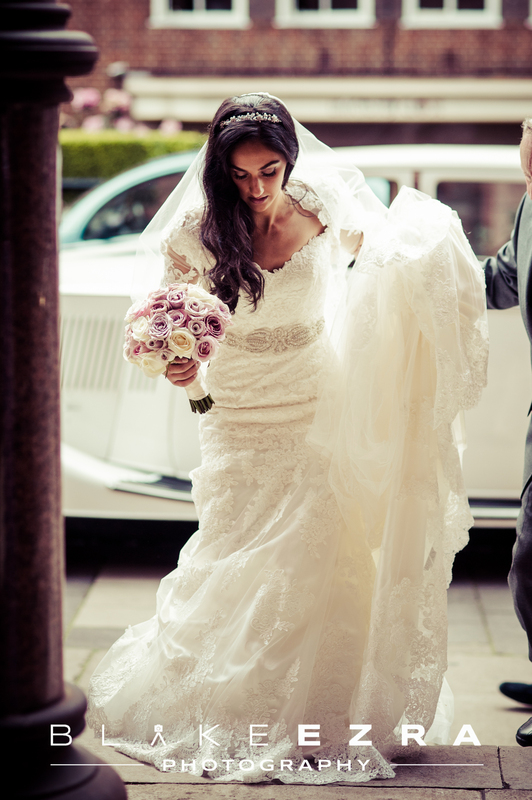 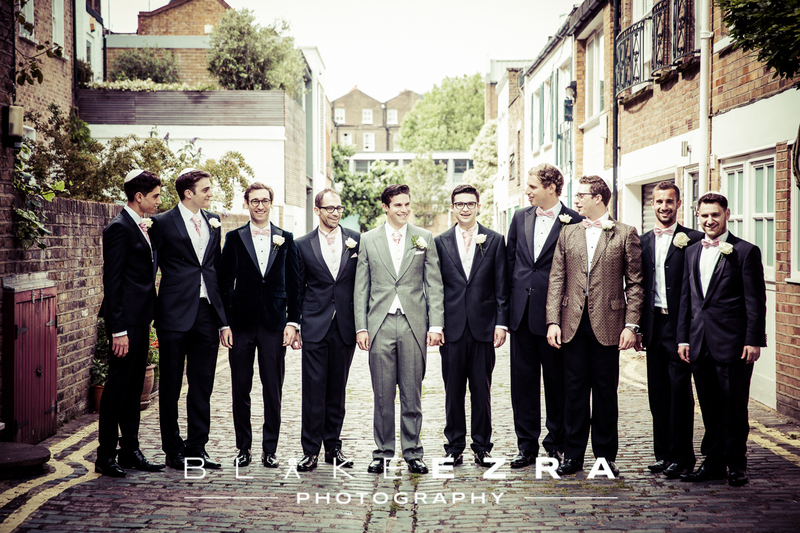 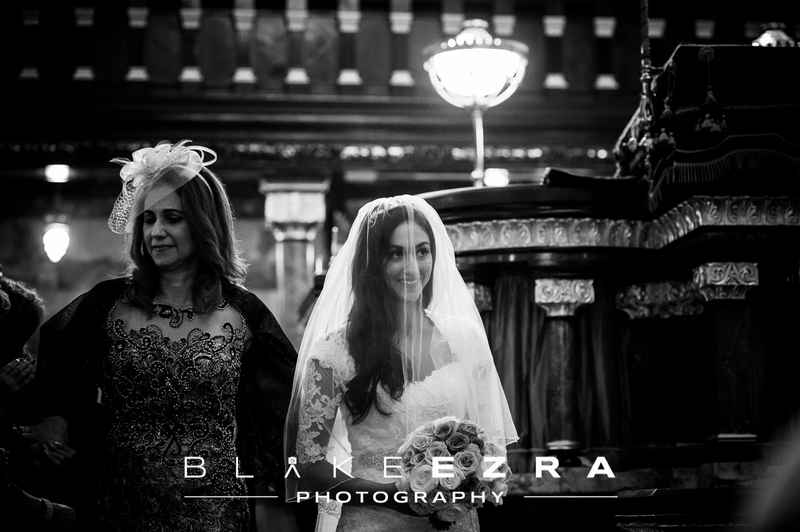 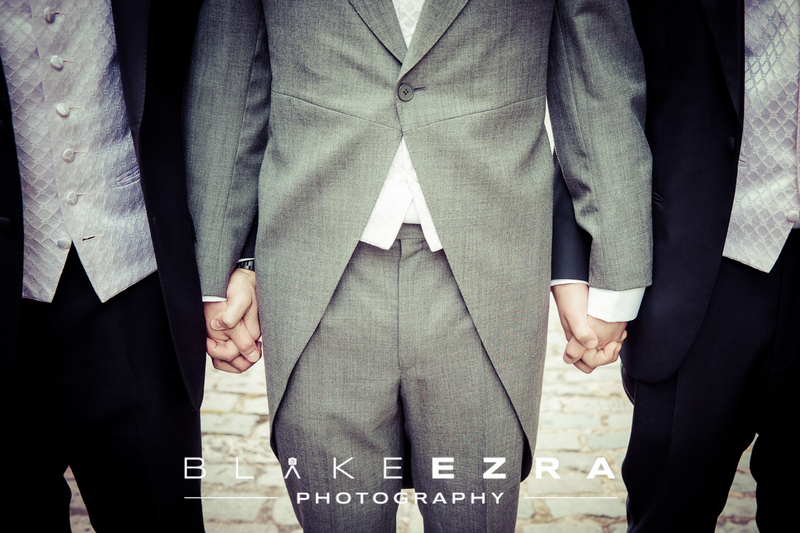 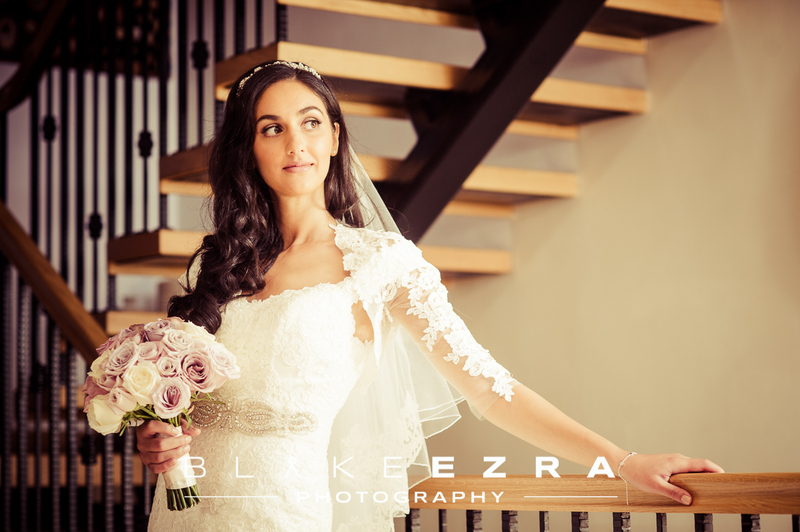 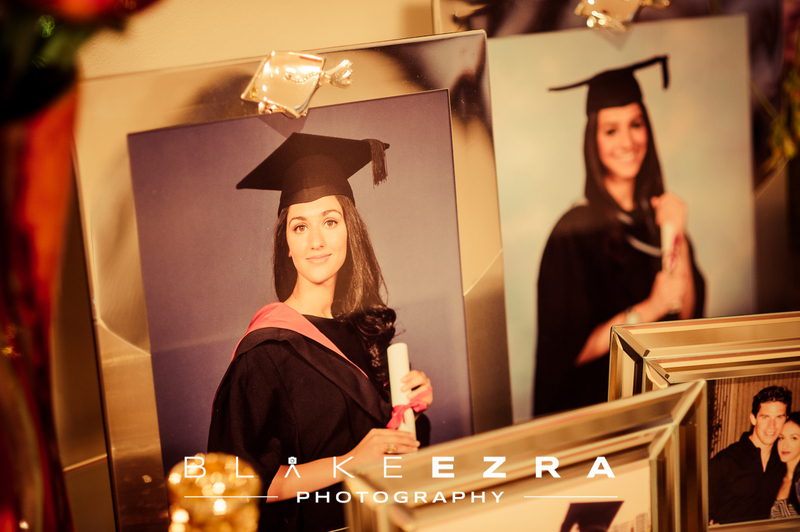 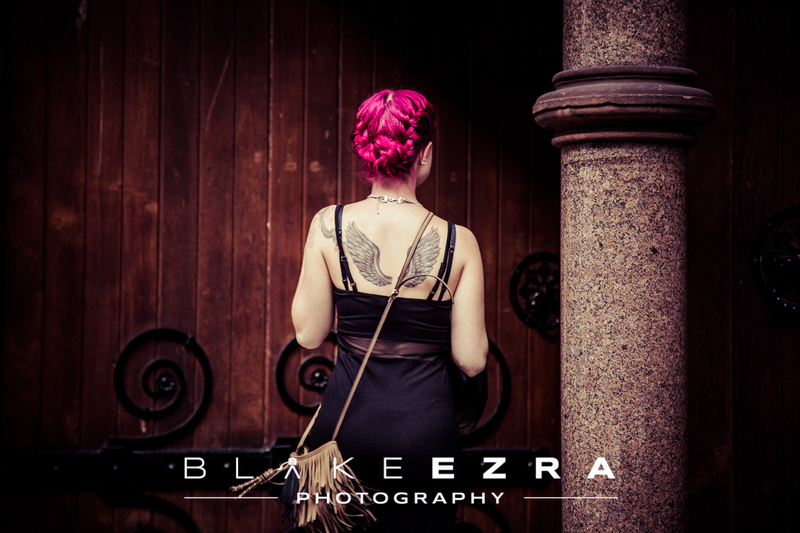 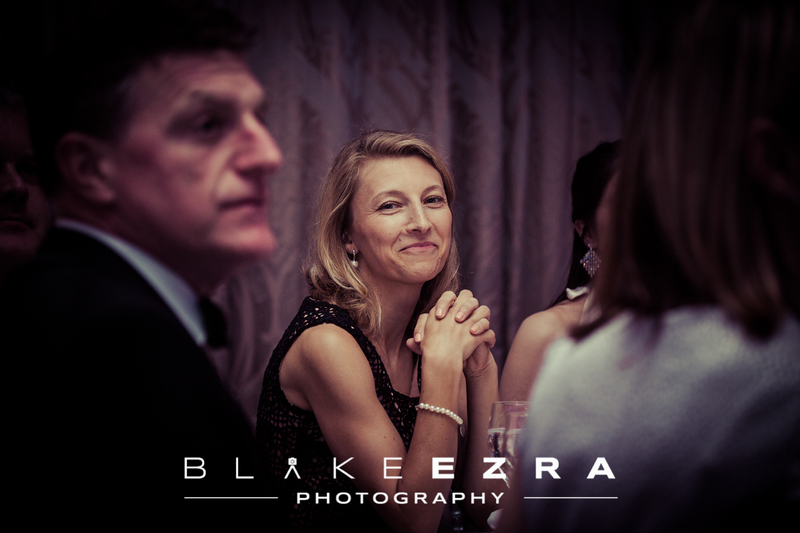 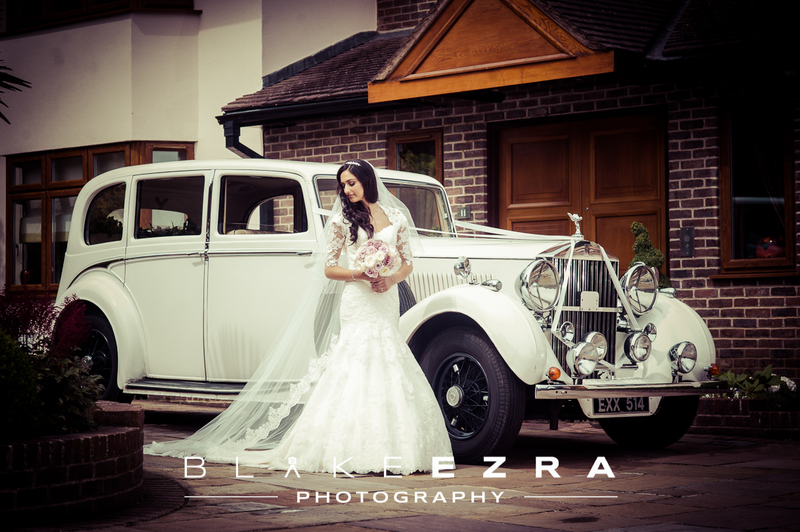 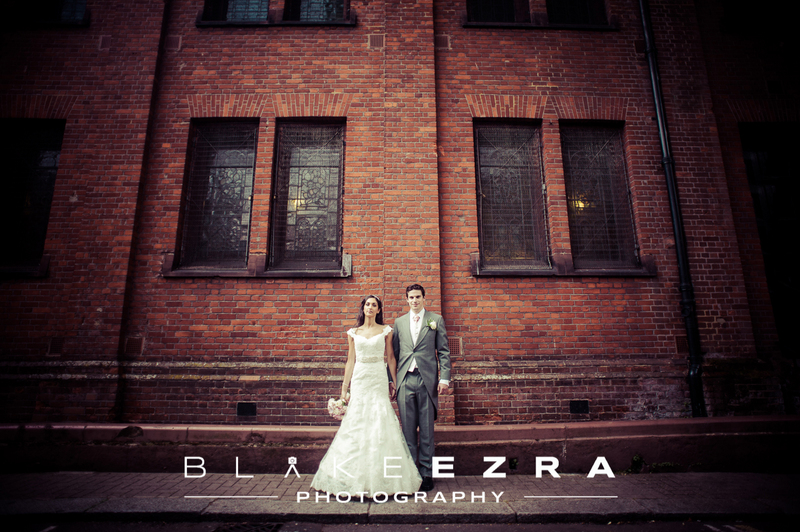 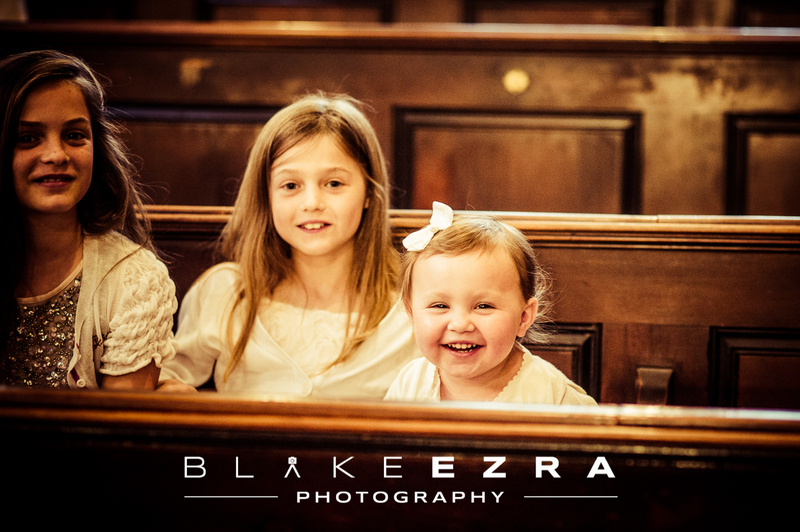 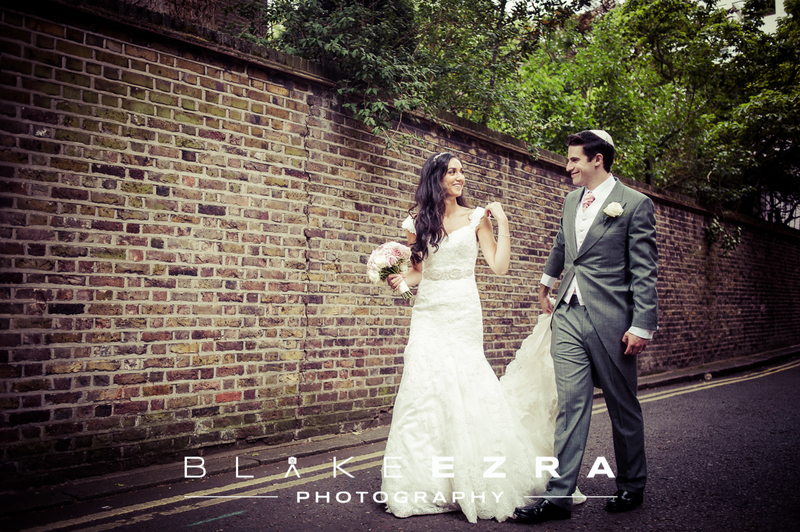 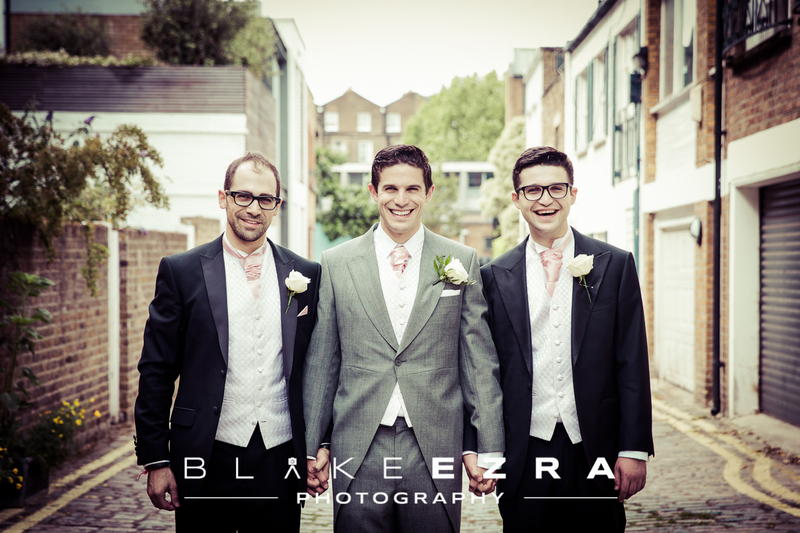 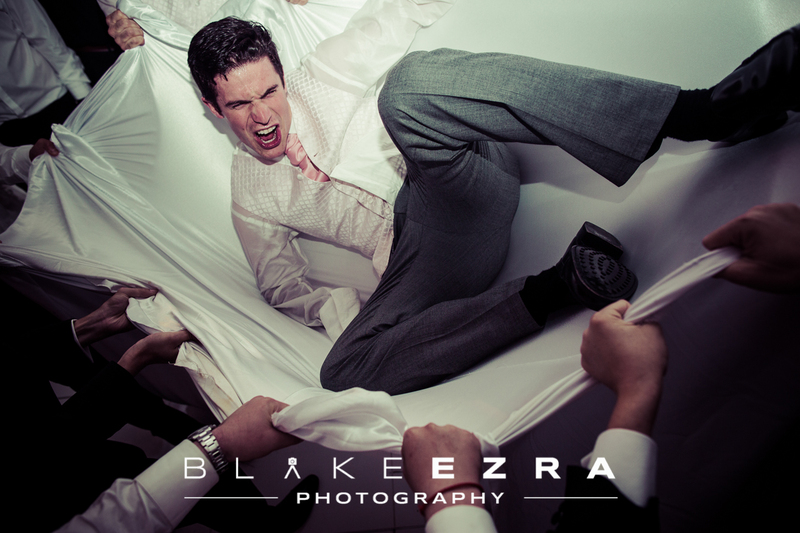 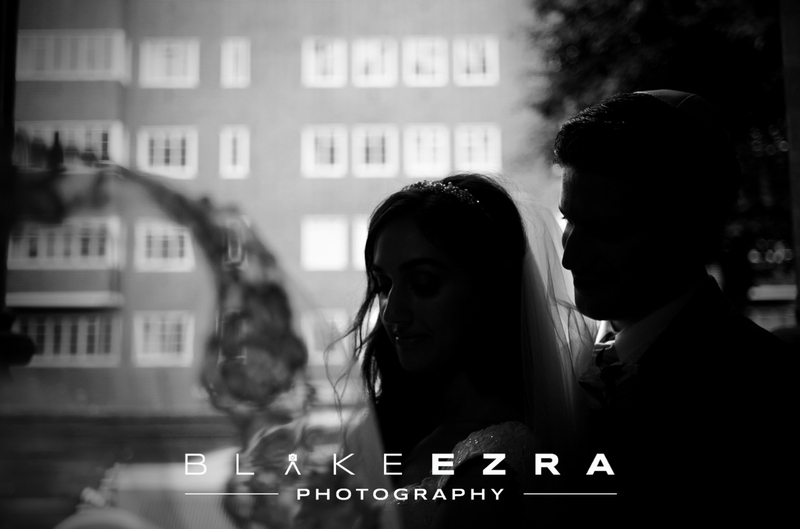 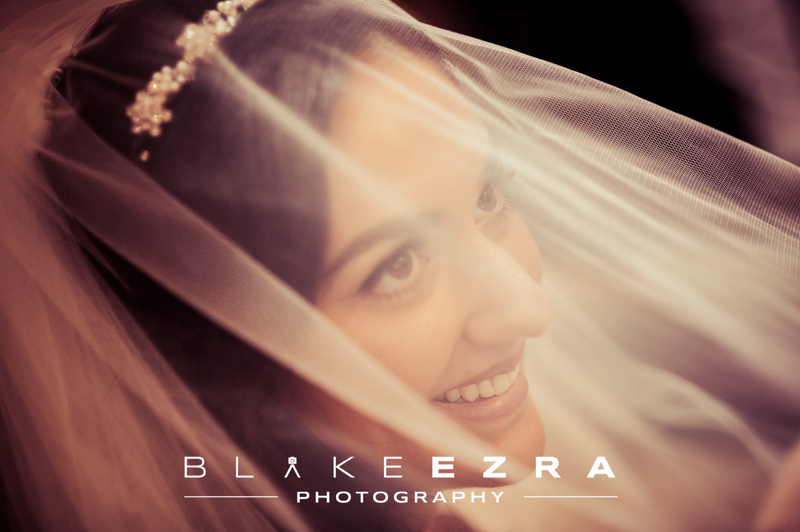 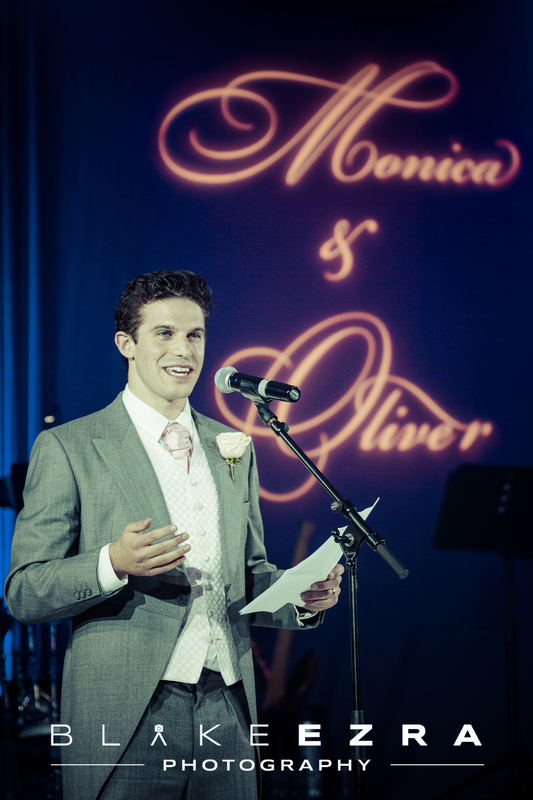 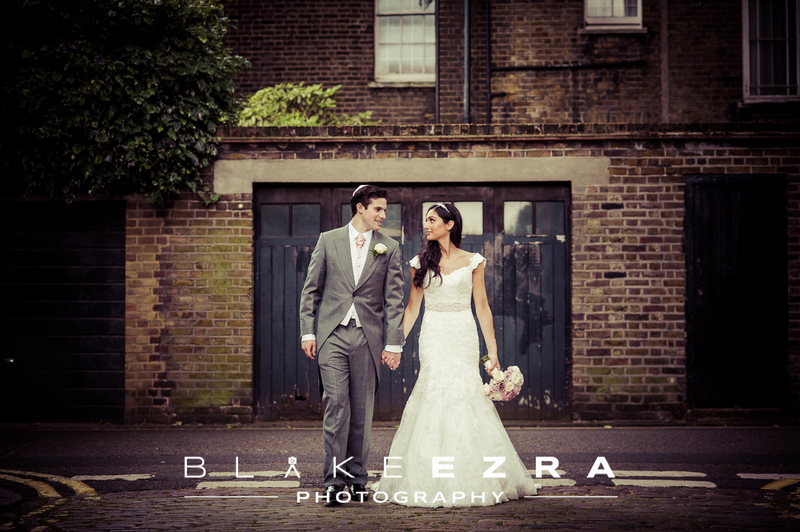 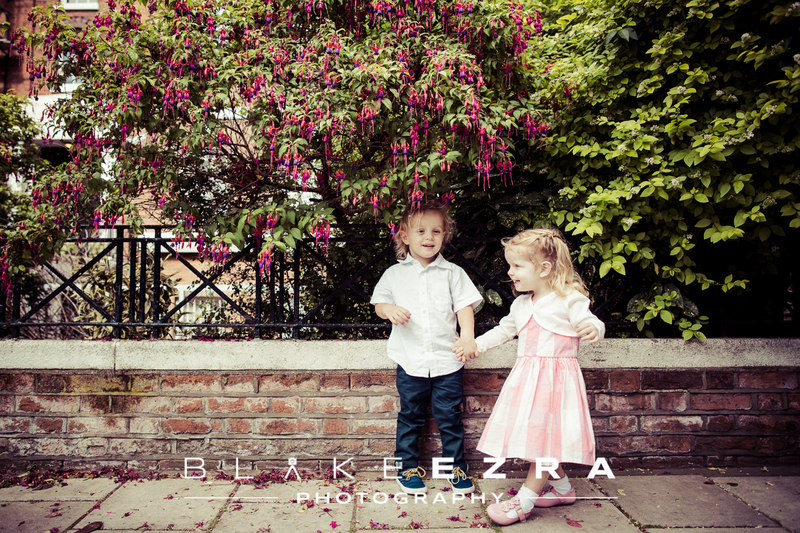 Our team were privileged to photograph the incredible wedding of Monica and Oliver. 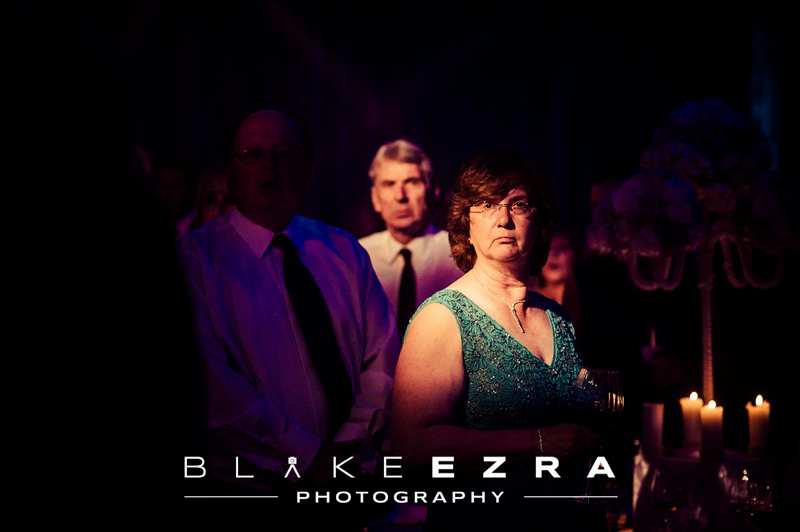 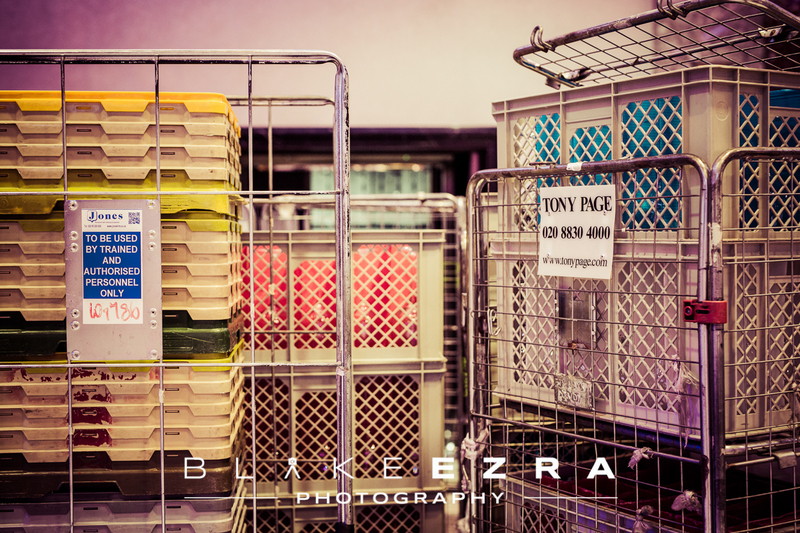 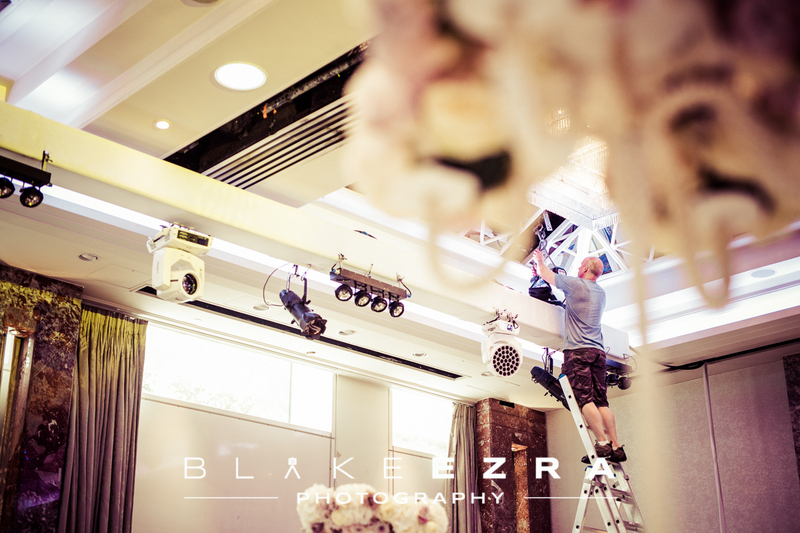 A large wedding requires a large team, so on the scene for us were Amanda, Andy, Blake and Sam. 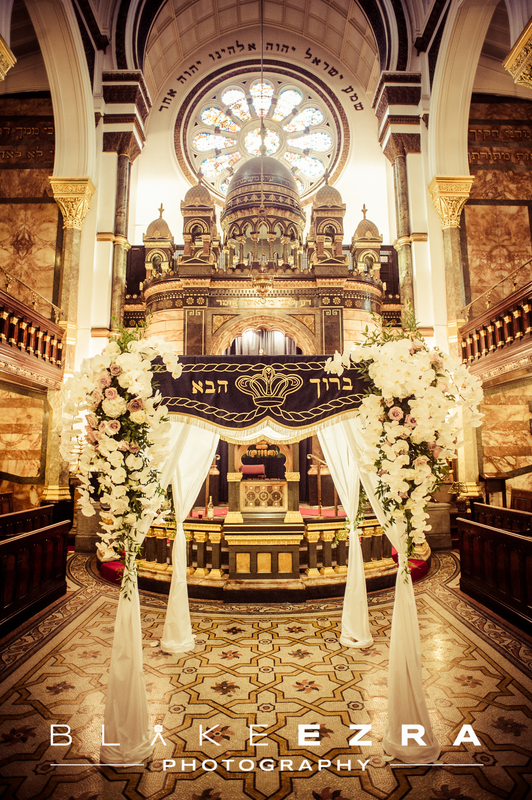 What a day it was, as over 400 people came to watch this amazing couple under the Chuppah at the stunning New West End Synagogue, with the witnesses being none other than Rabbi Lord Jonathan Sacks, and Chief Rabbi Ephraim Mirvis – the ultimate honour for Monica and Oliver to have the current and the previous Chief Rabbis at the ceremony, speaking so highly of both their families. 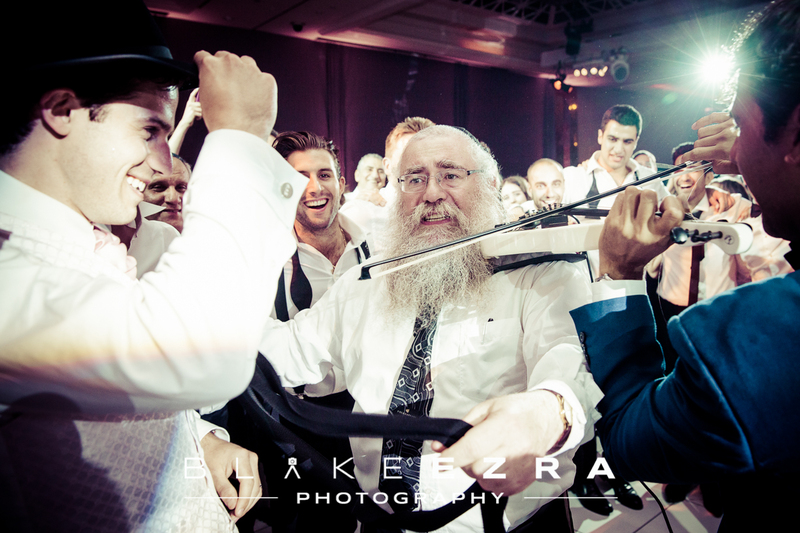 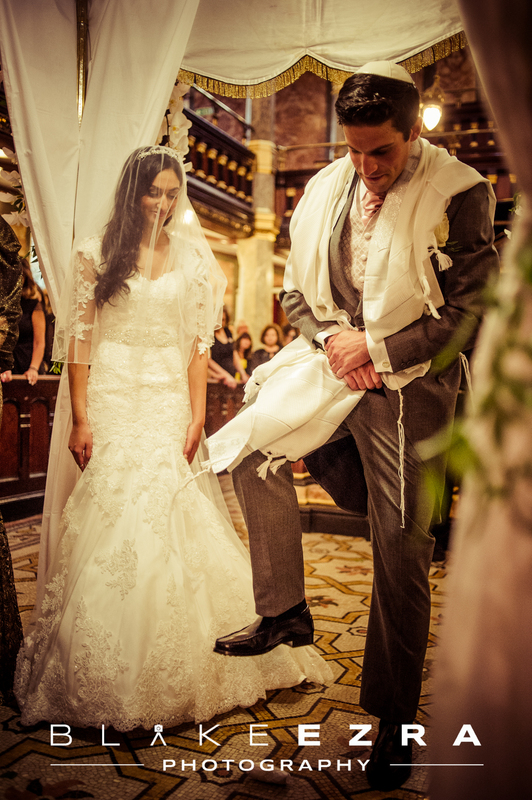 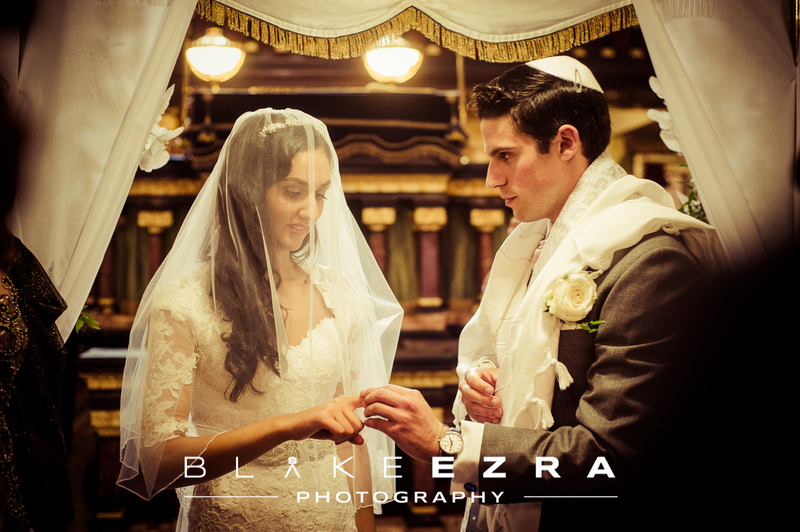 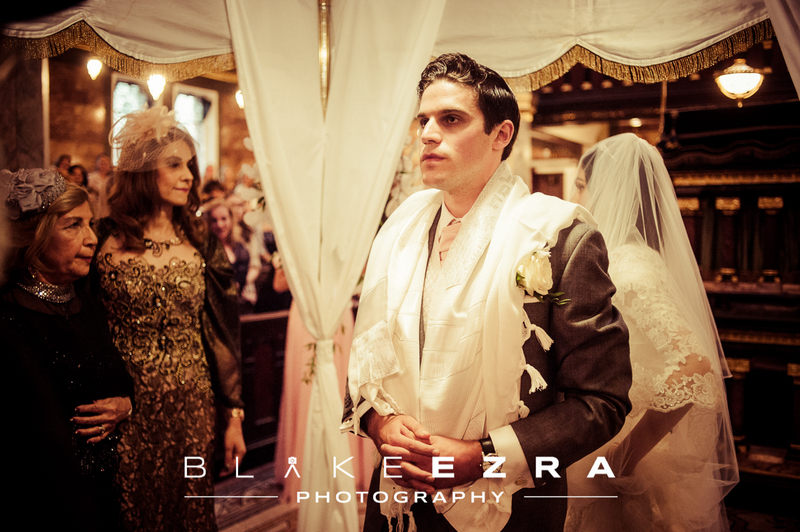 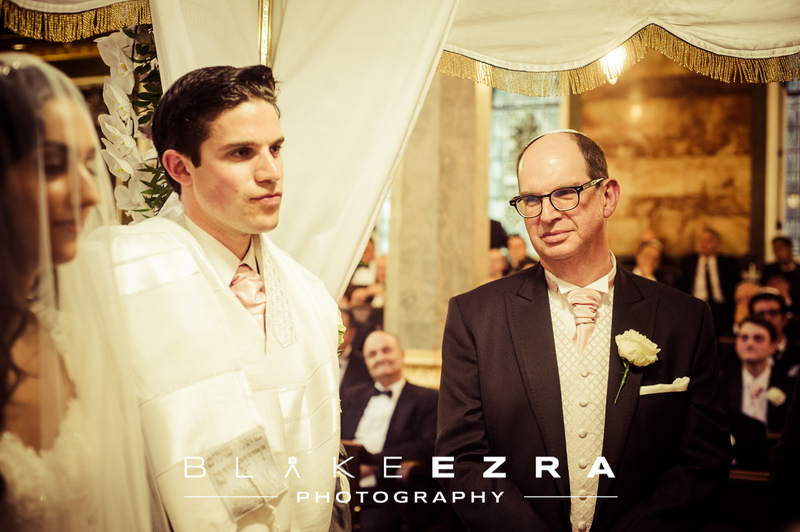 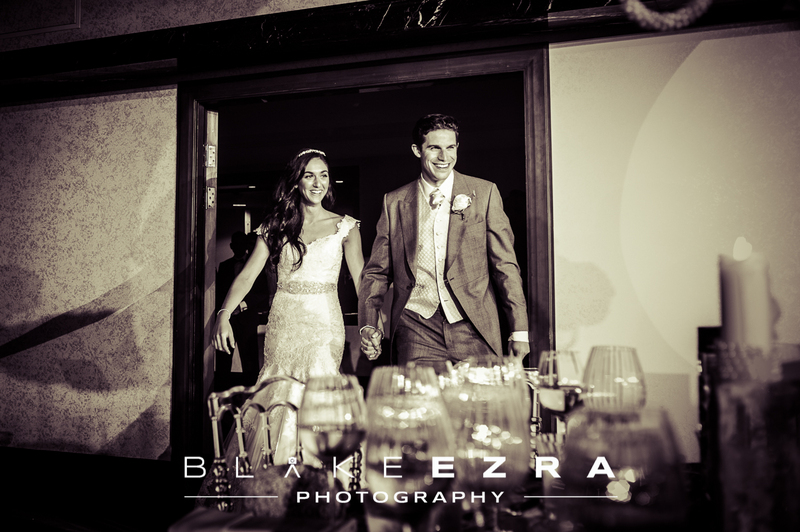 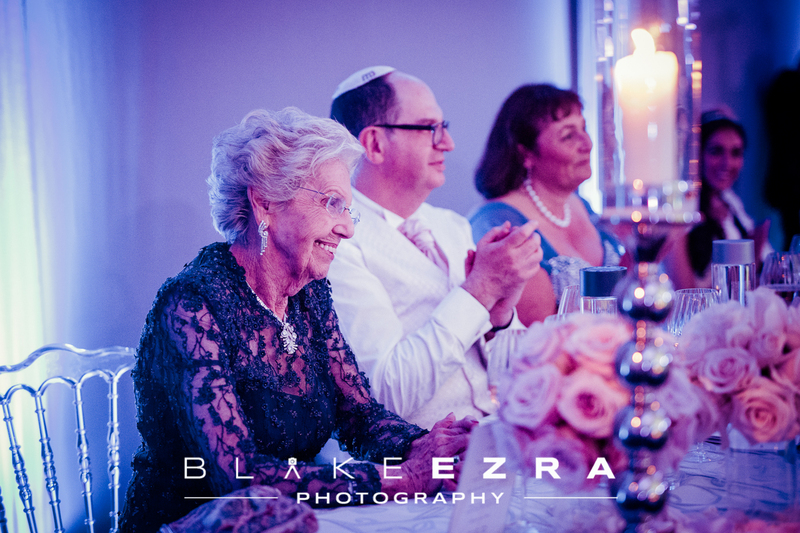 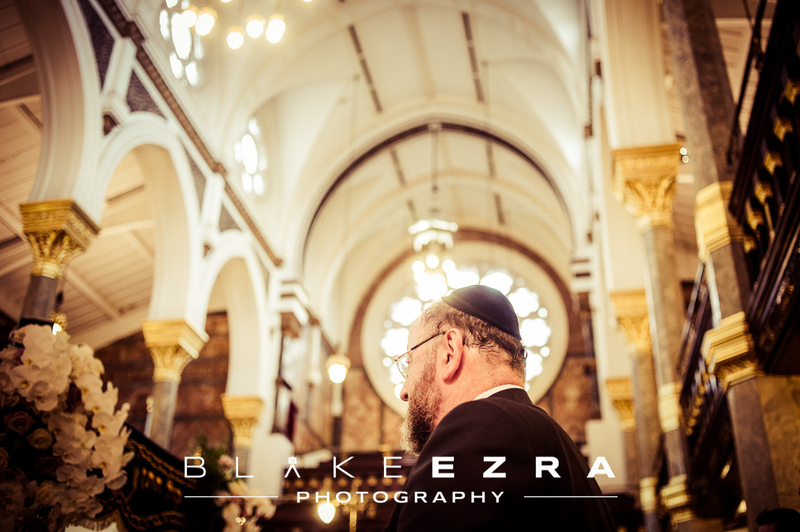 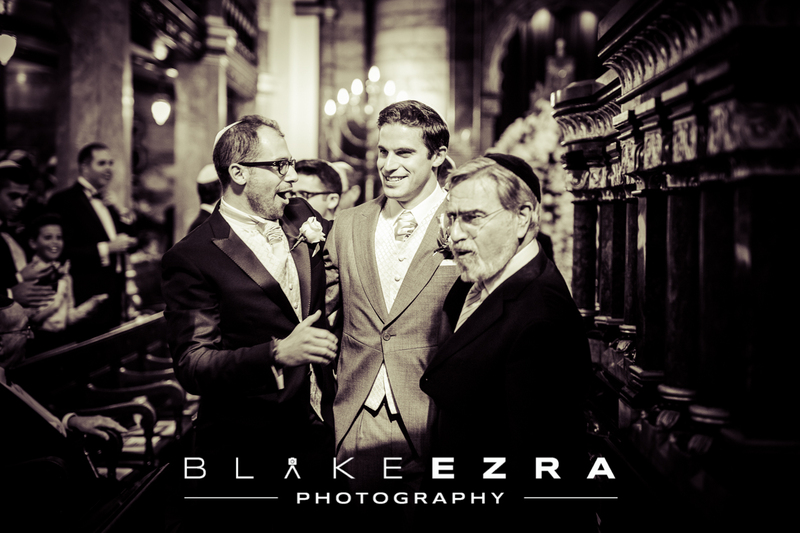 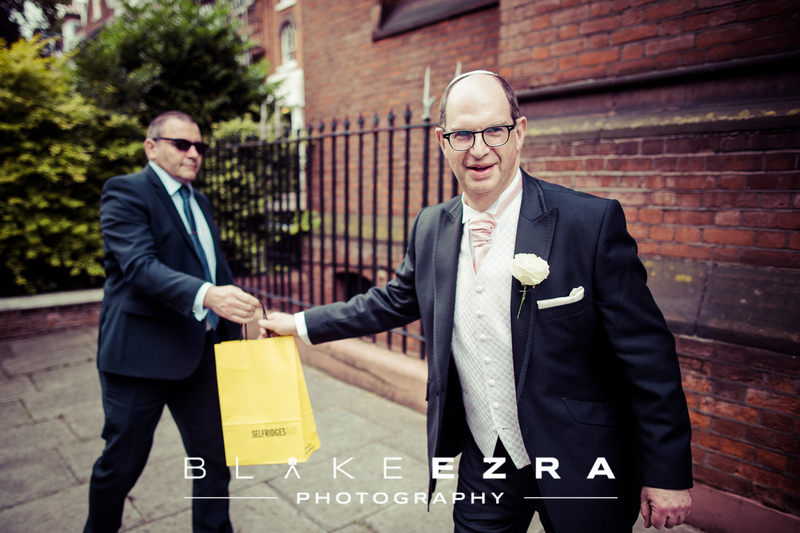 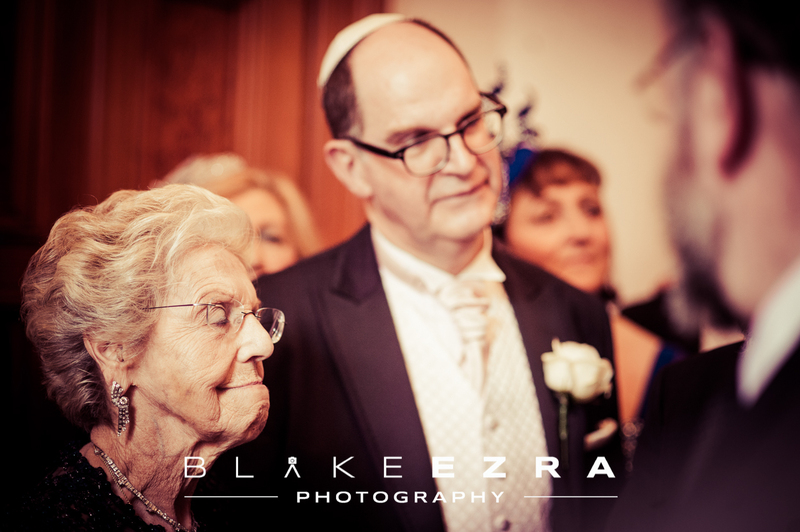 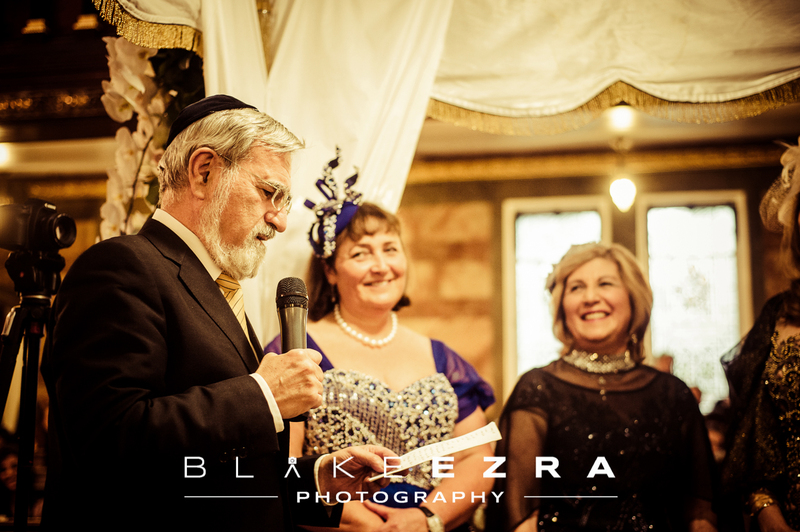 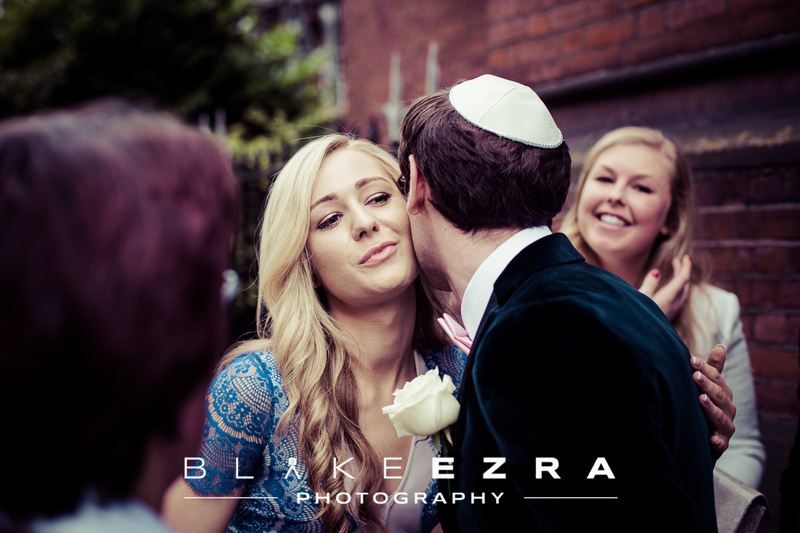 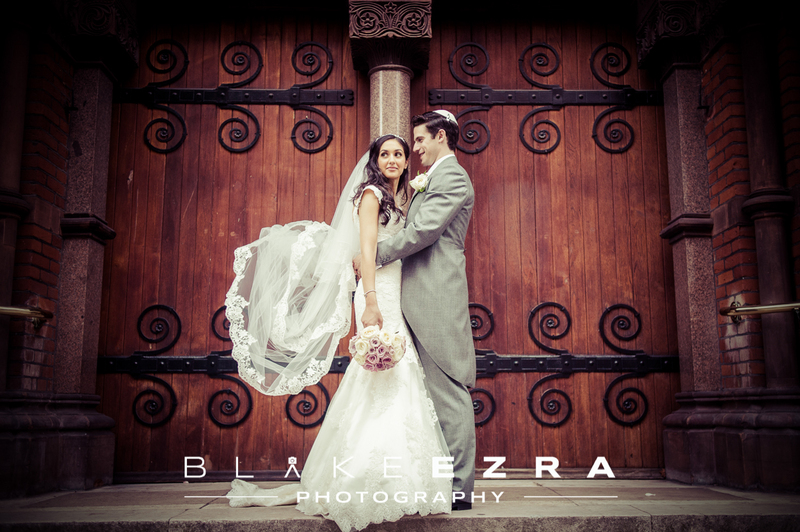 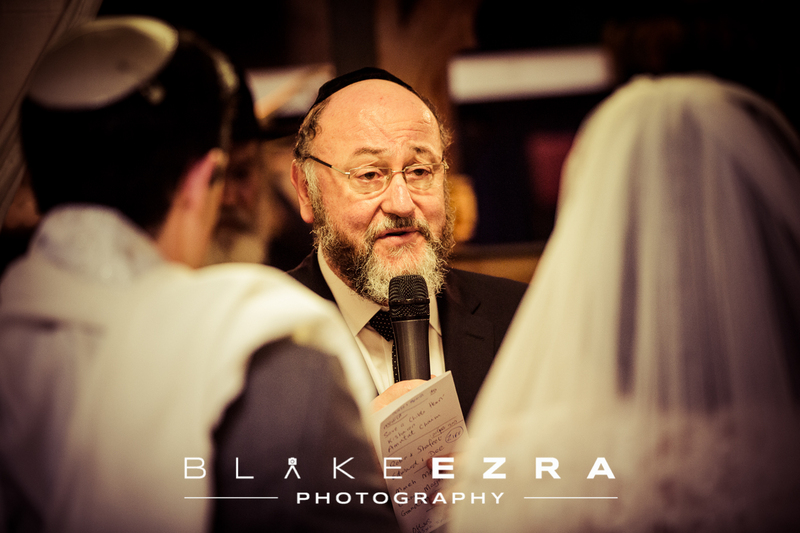 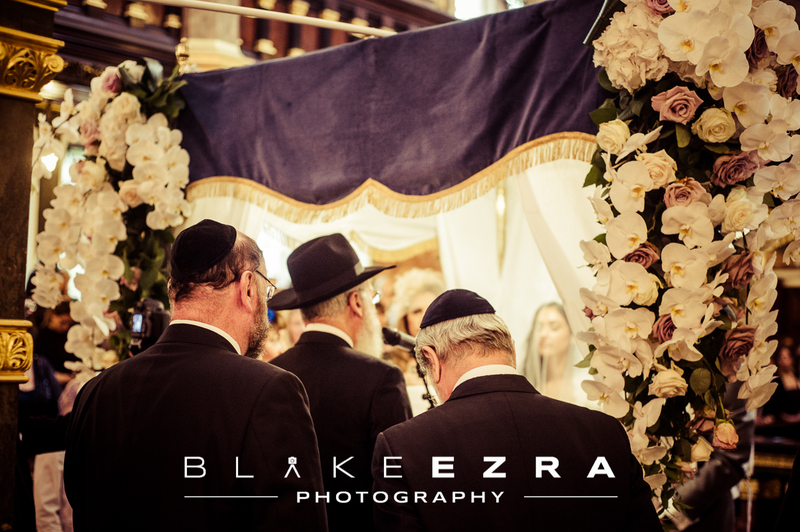 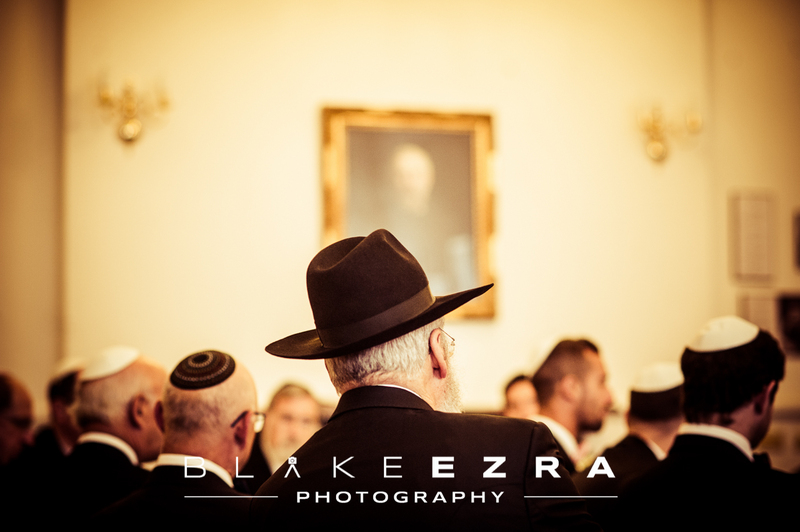 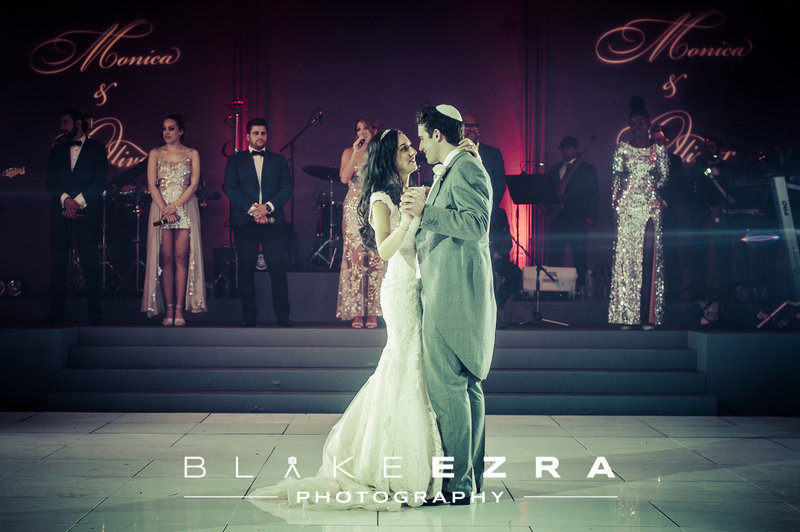 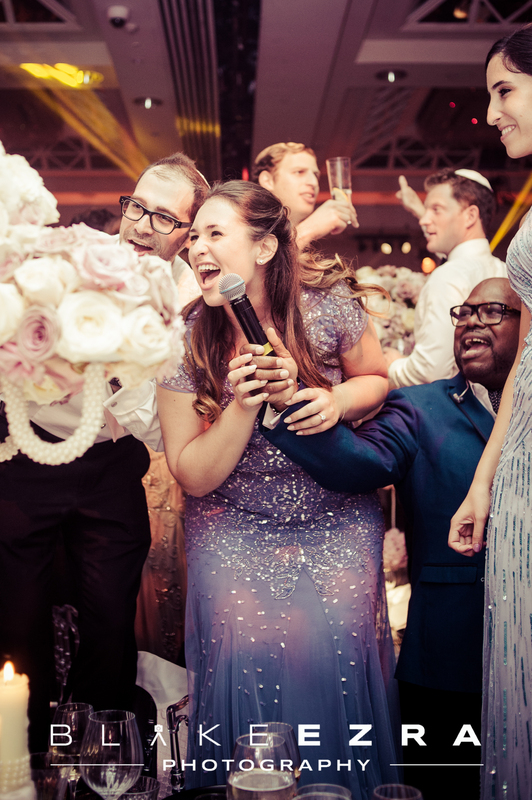 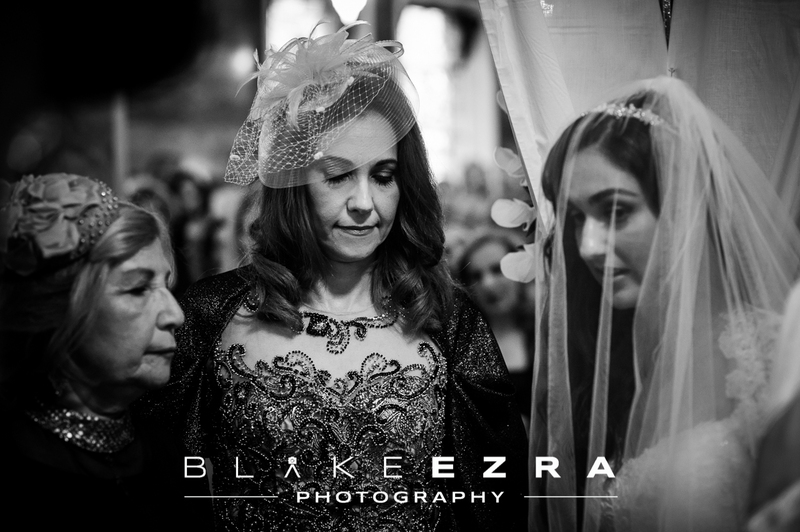 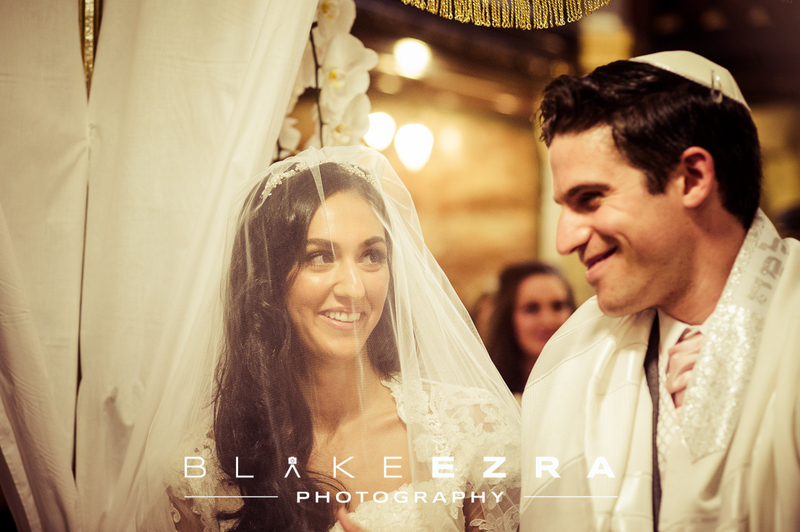 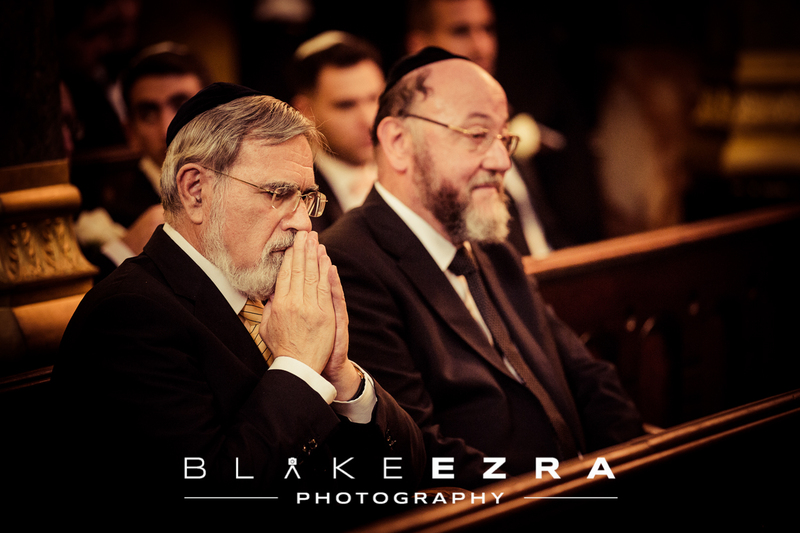 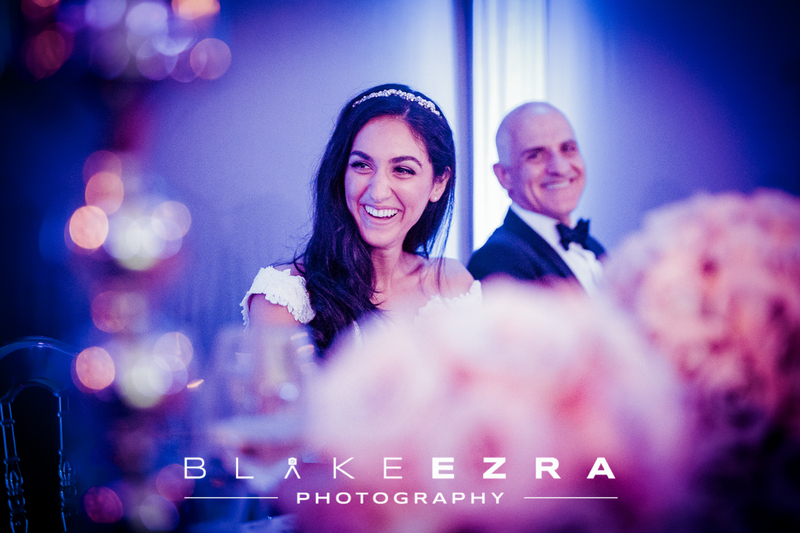 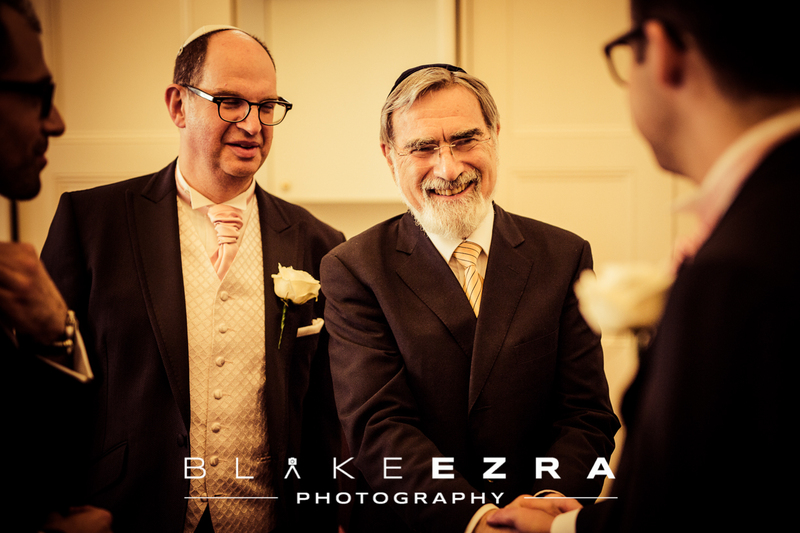 We are privileged to work regularly with both of these inspirational figures, but can only imagine what it’s like to have them both speak under the Chuppah, for a young couple about to embark upon their life together. 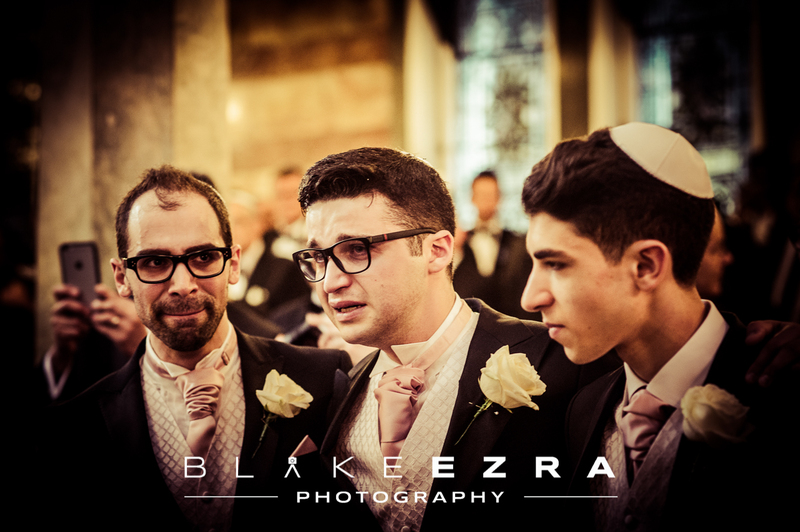 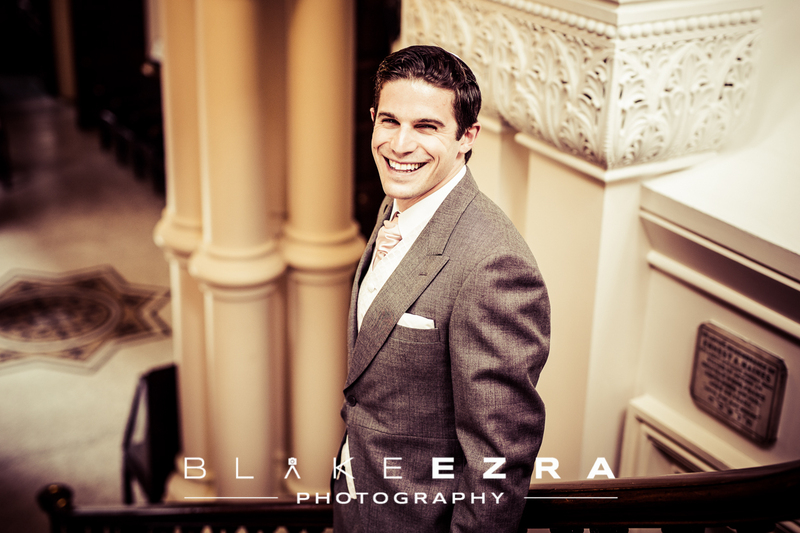 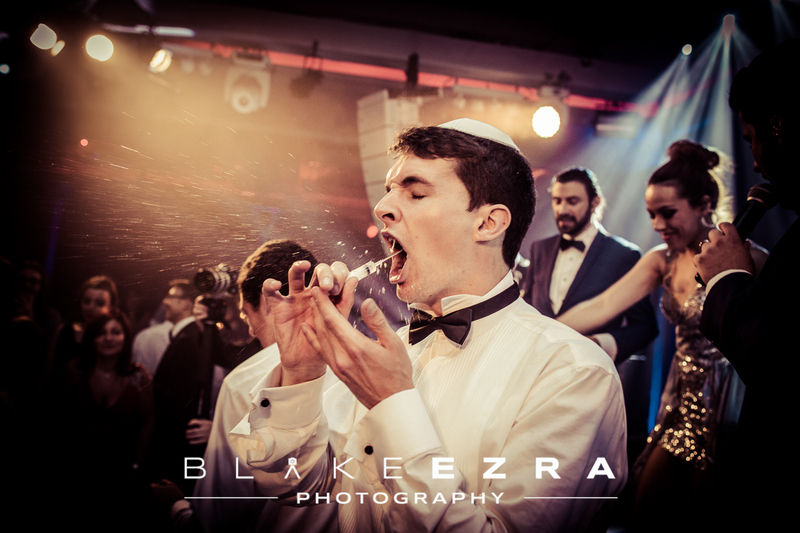 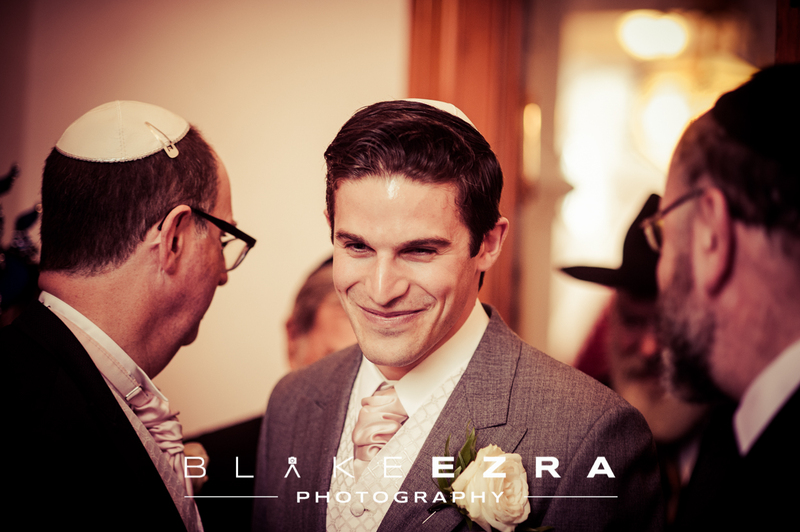 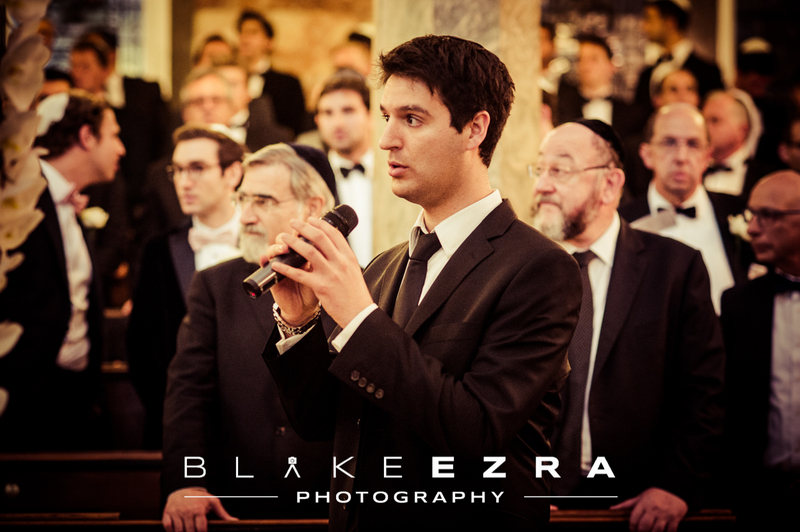 A special mention must also go to Chazan Alby Chait, for his stirring renditions during the ceremony. 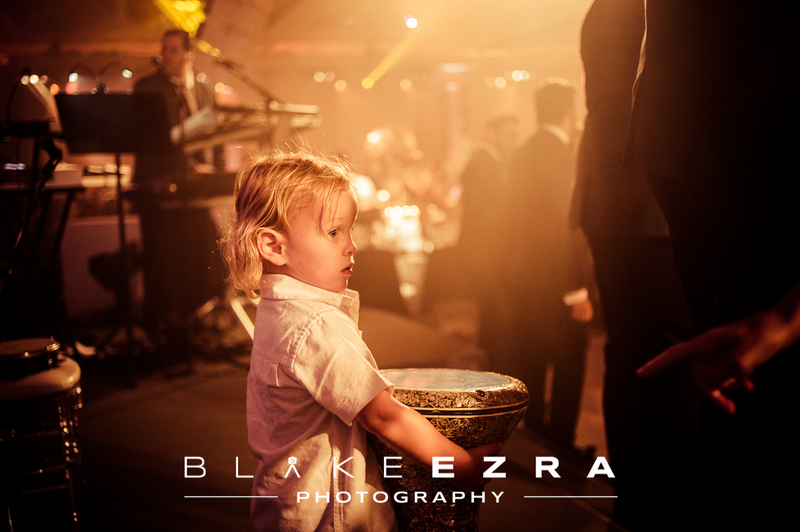 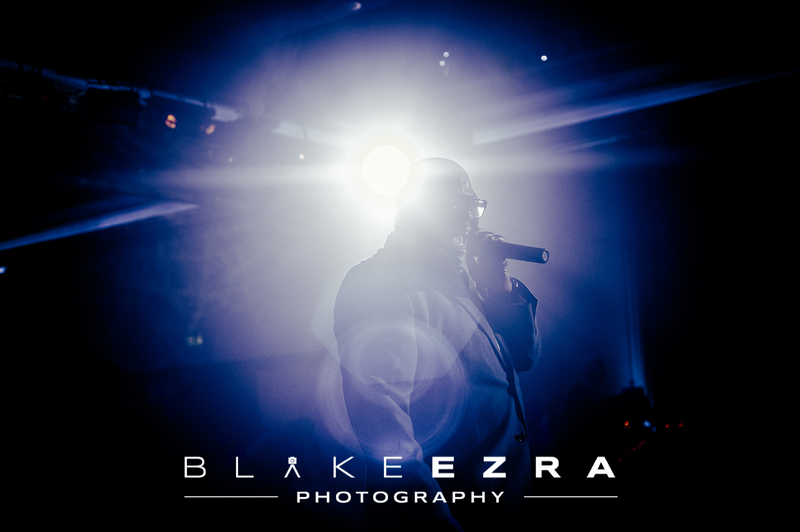 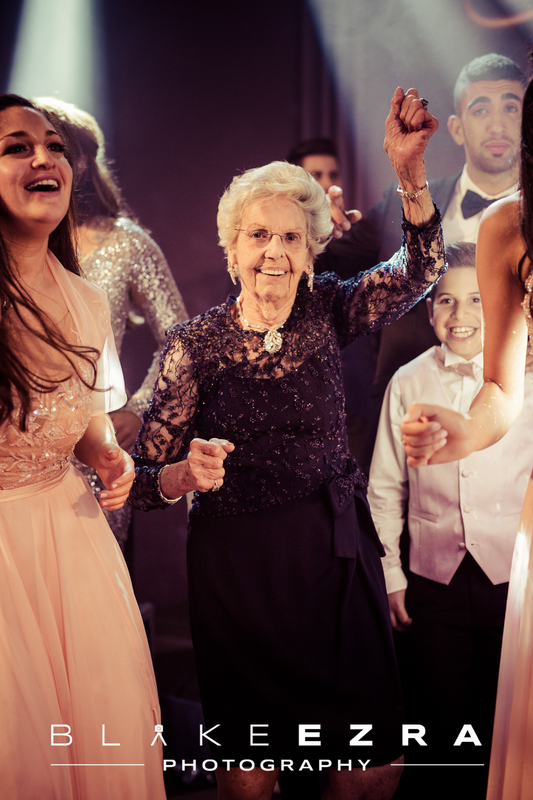 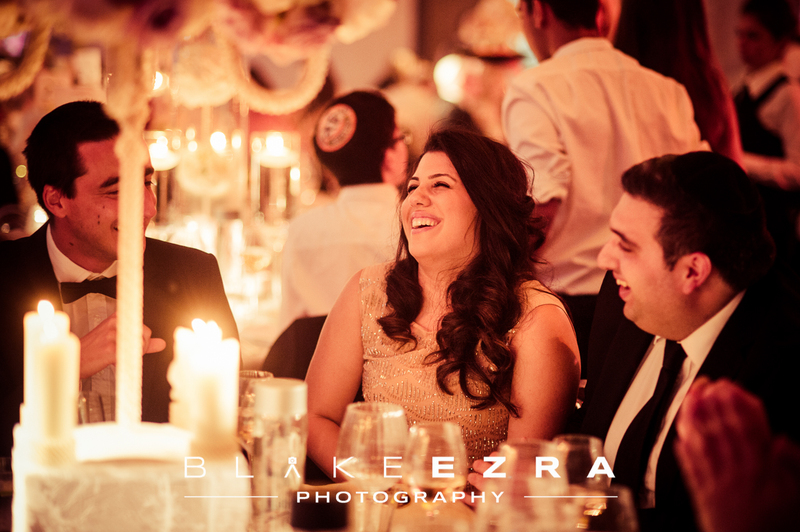 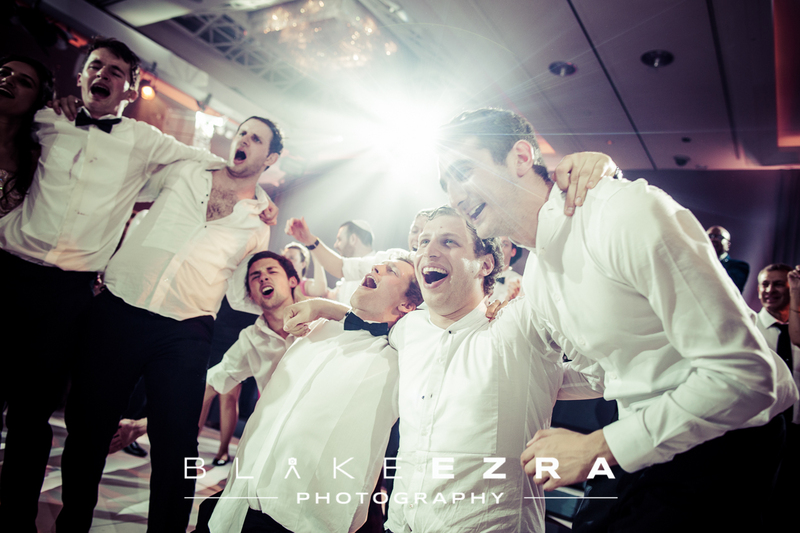 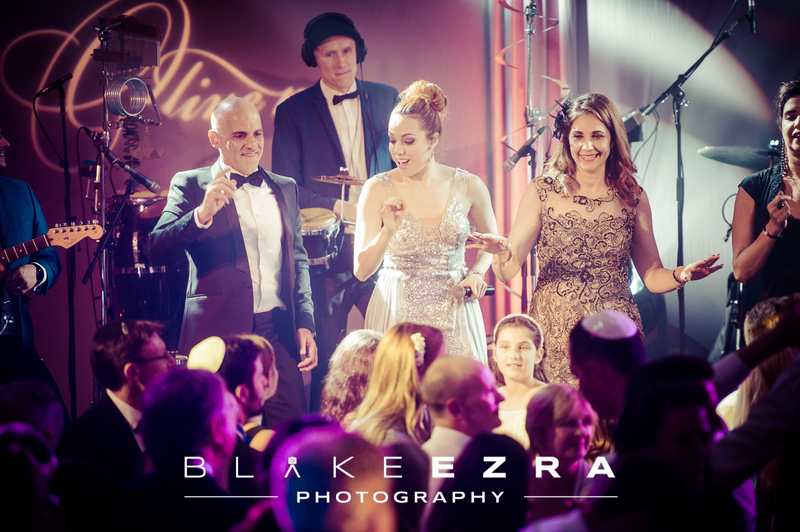 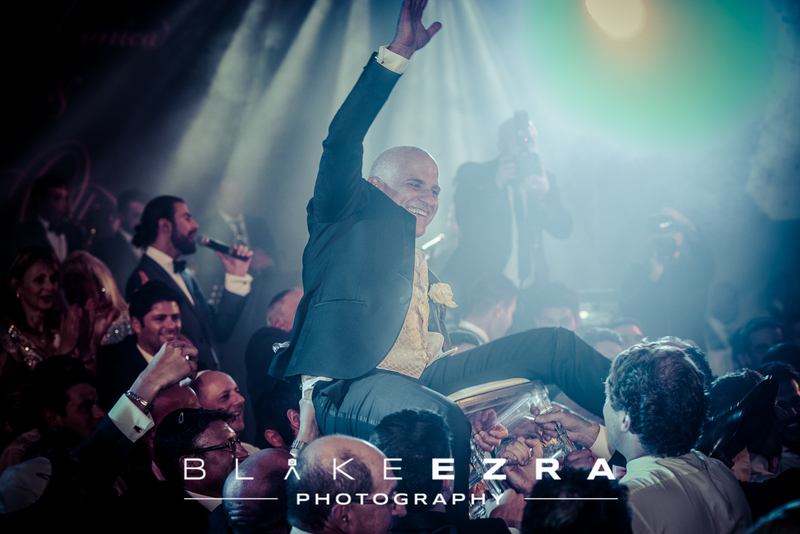 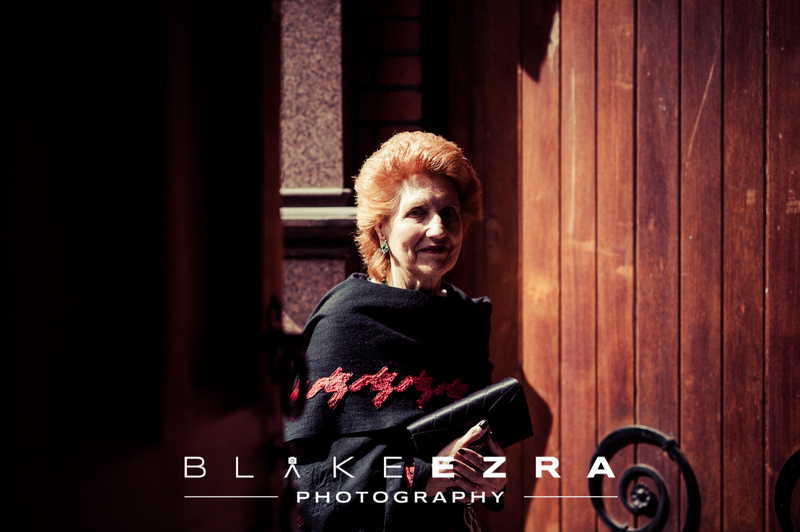 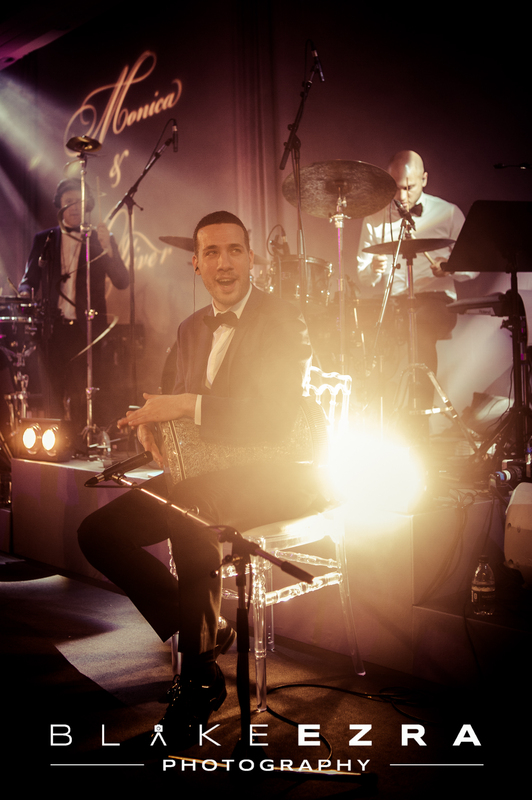 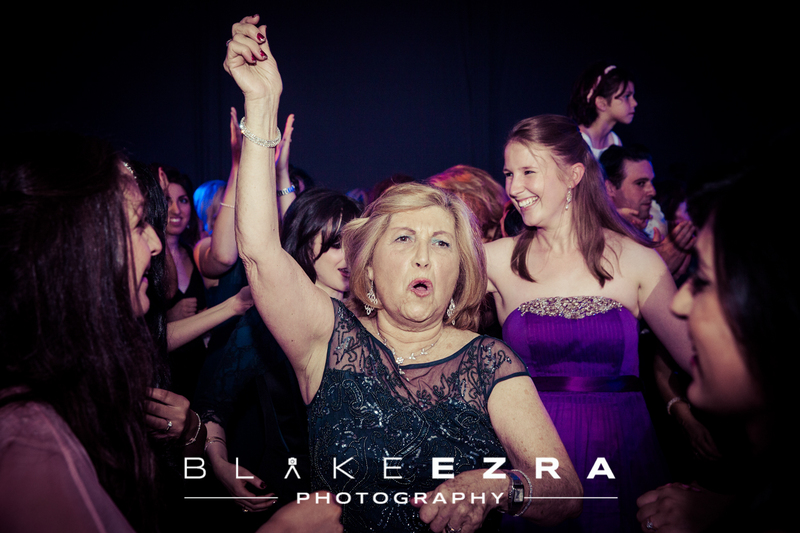 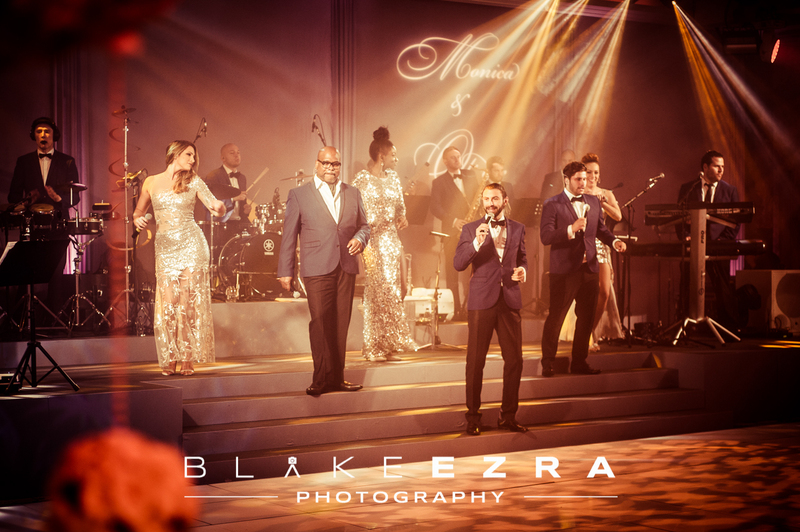 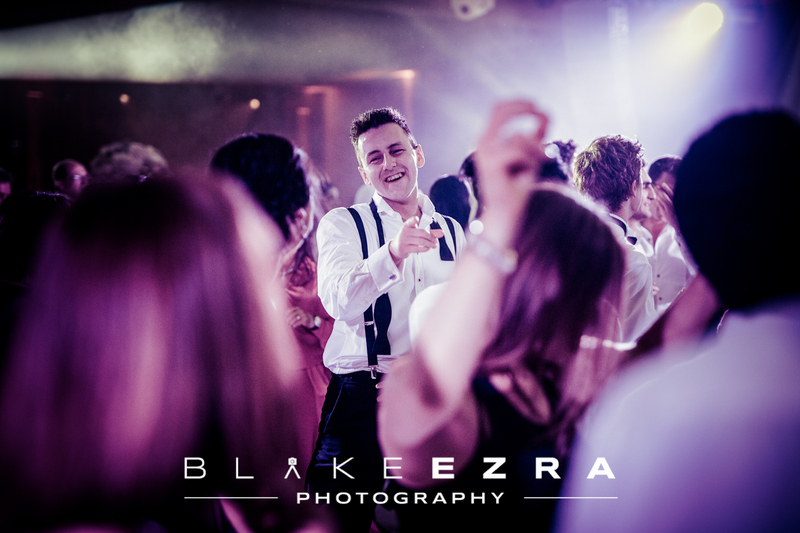 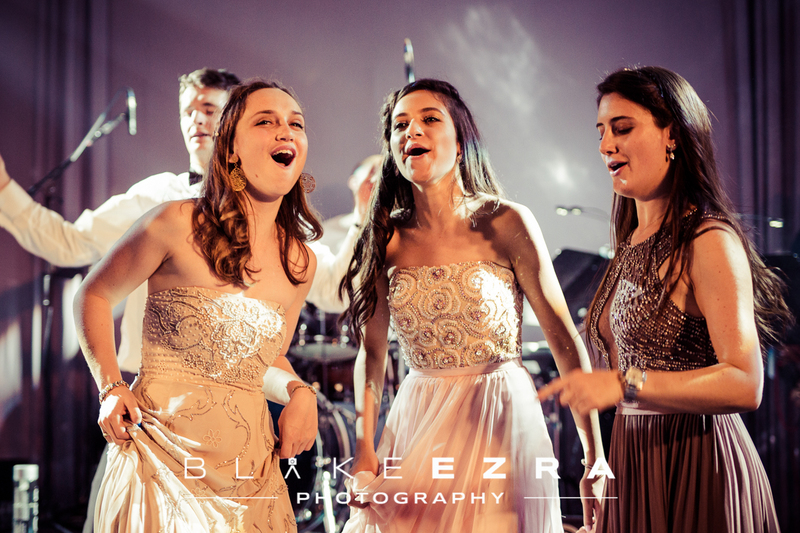 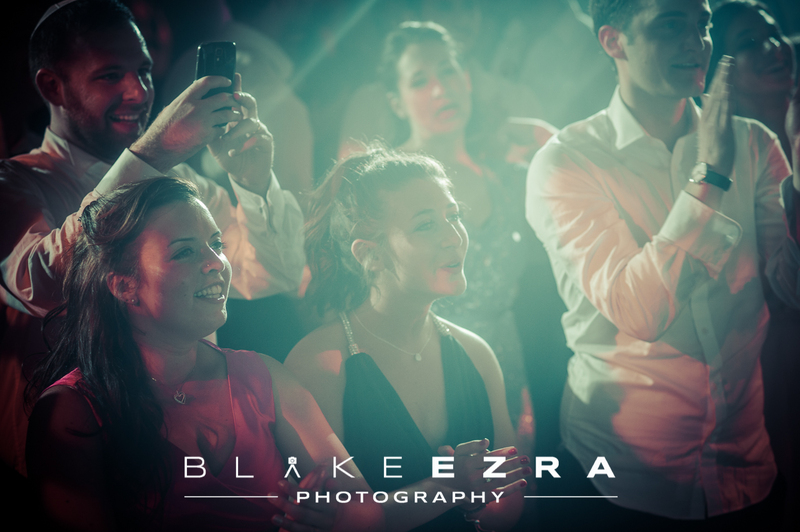 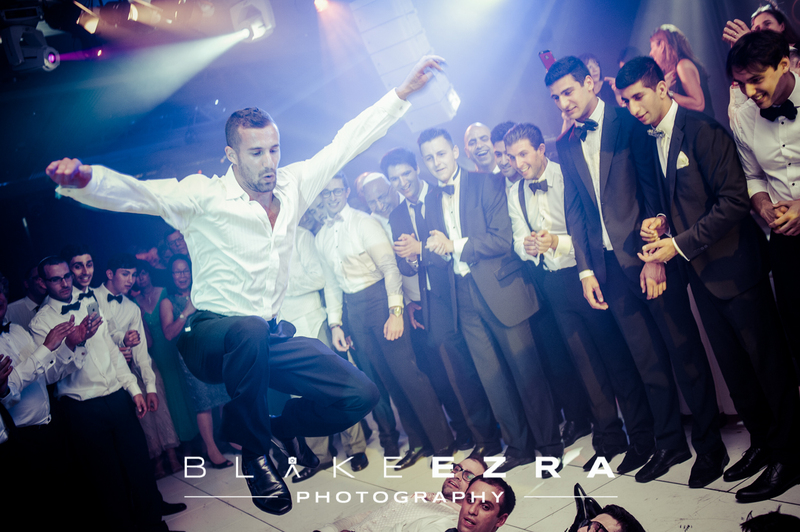 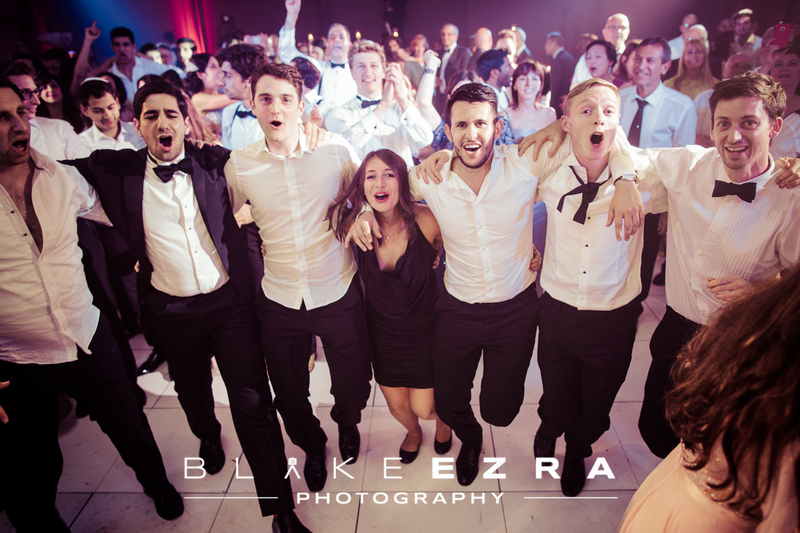 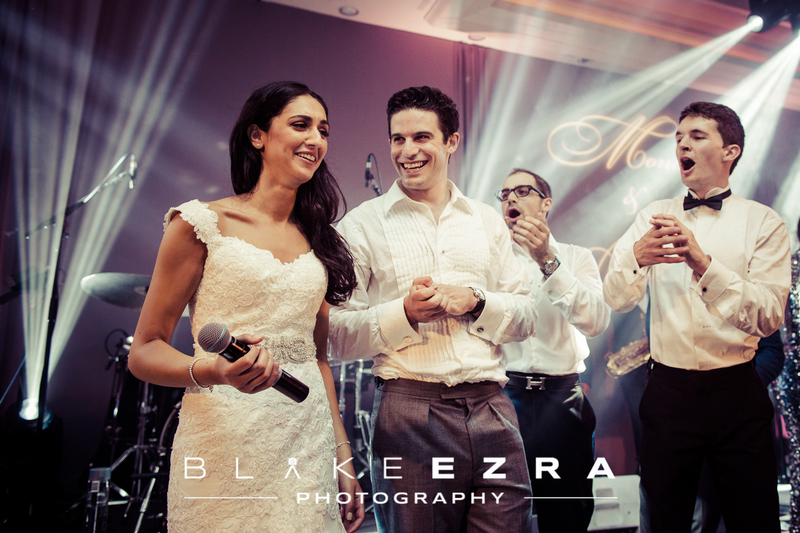 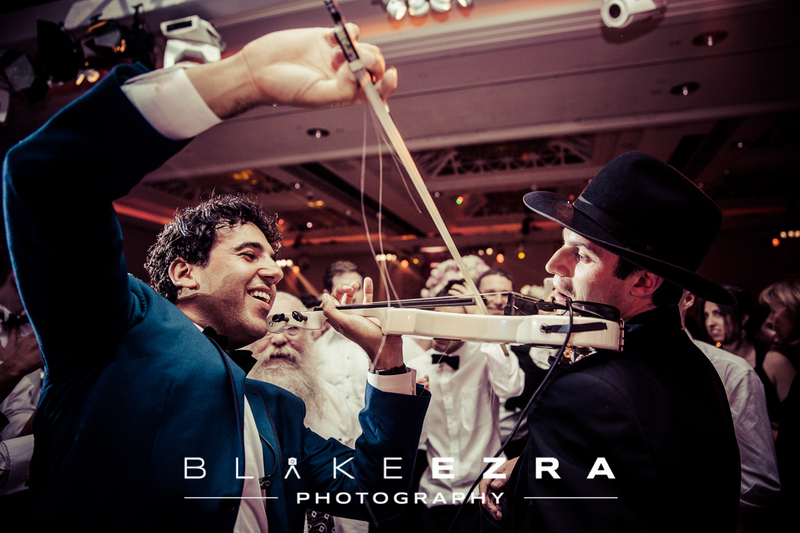 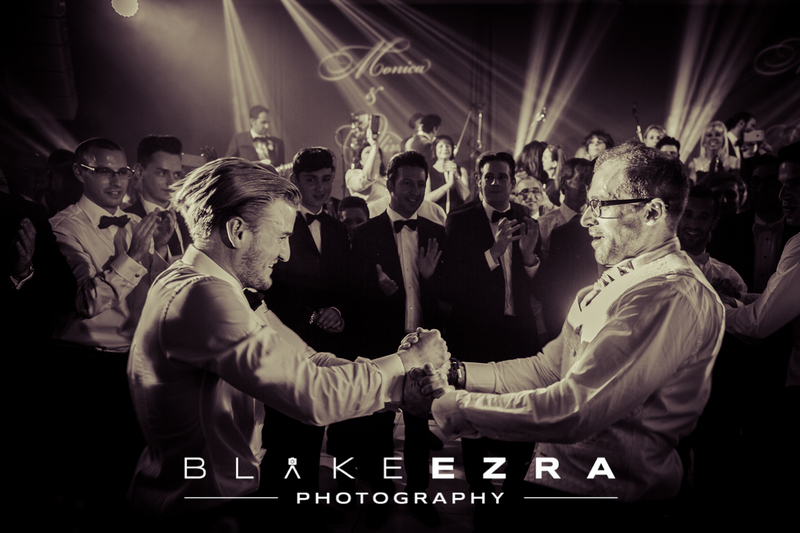 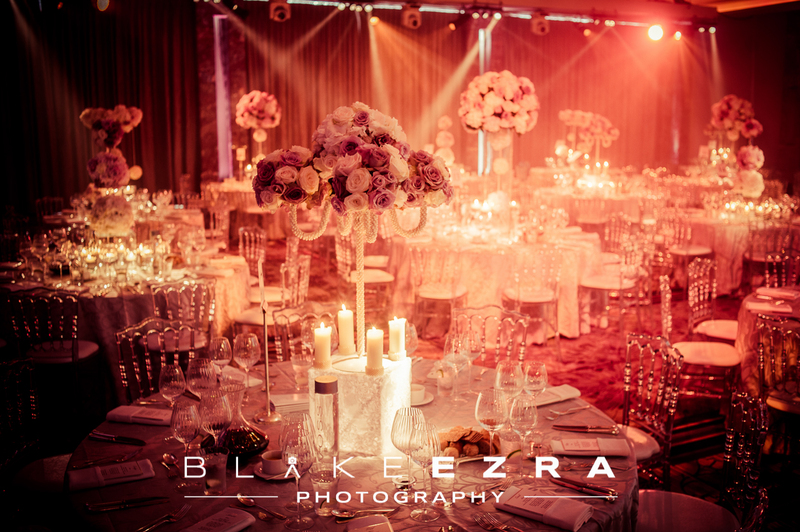 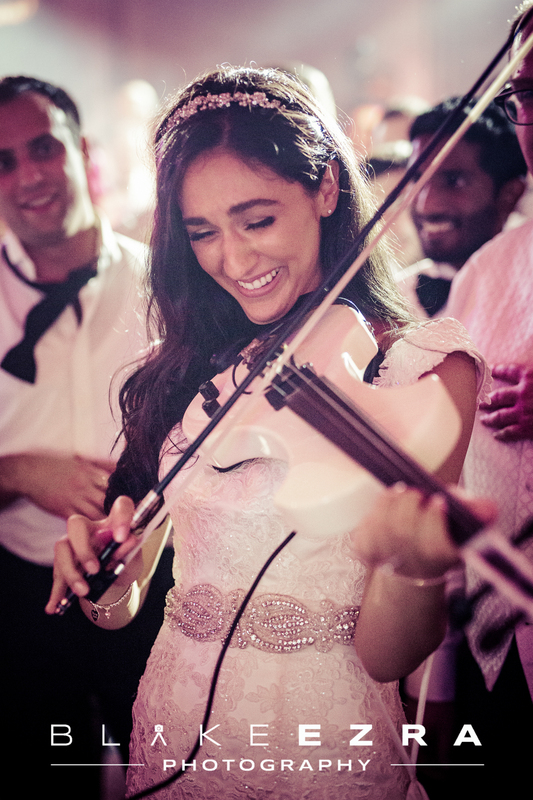 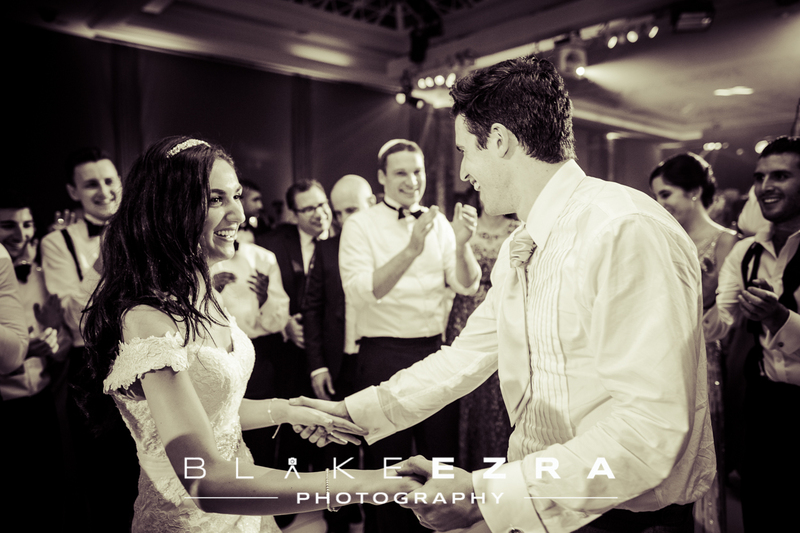 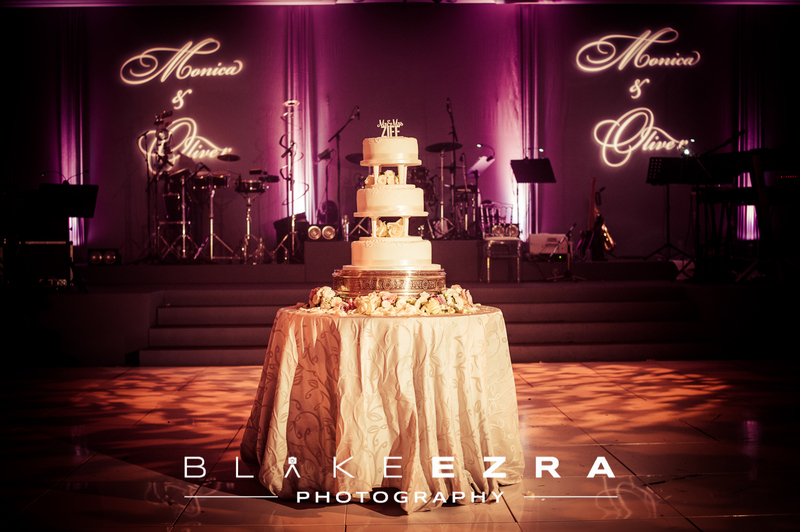 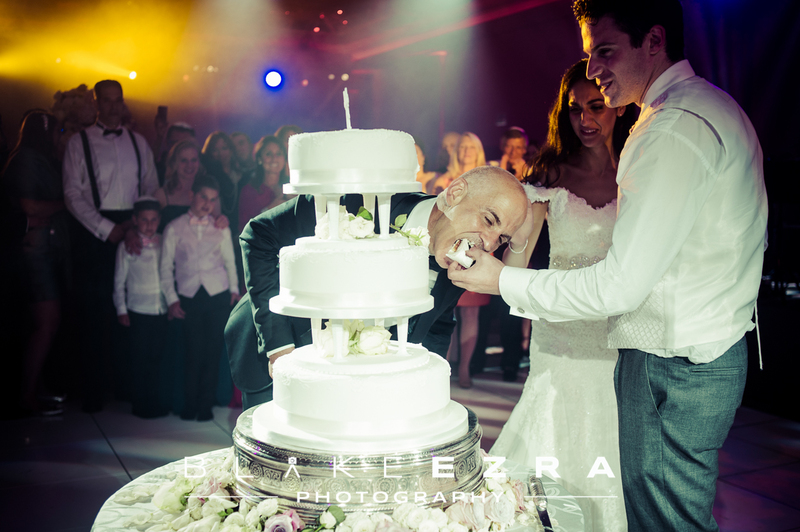 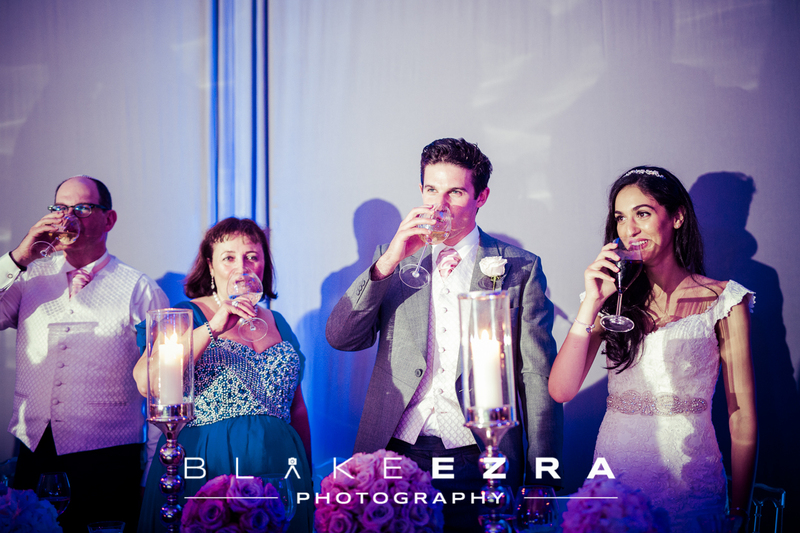 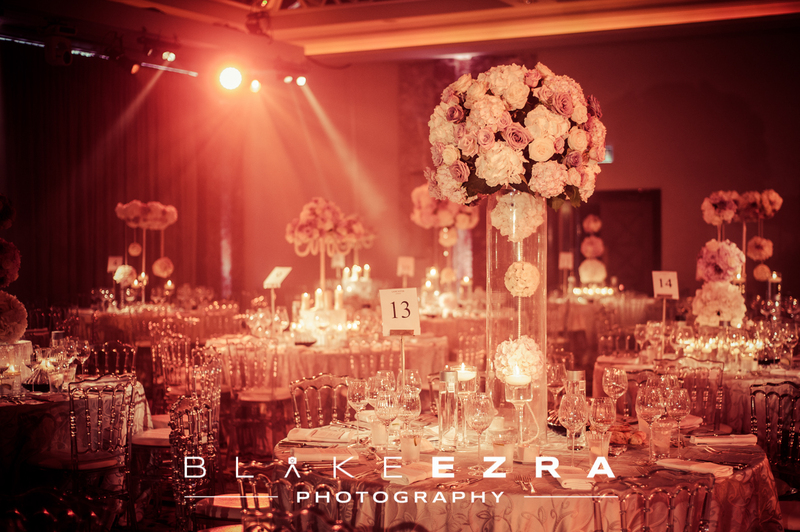 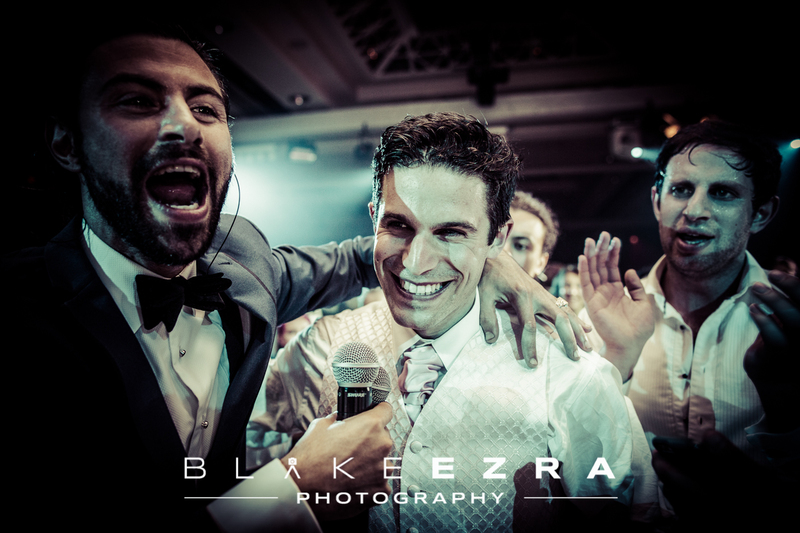 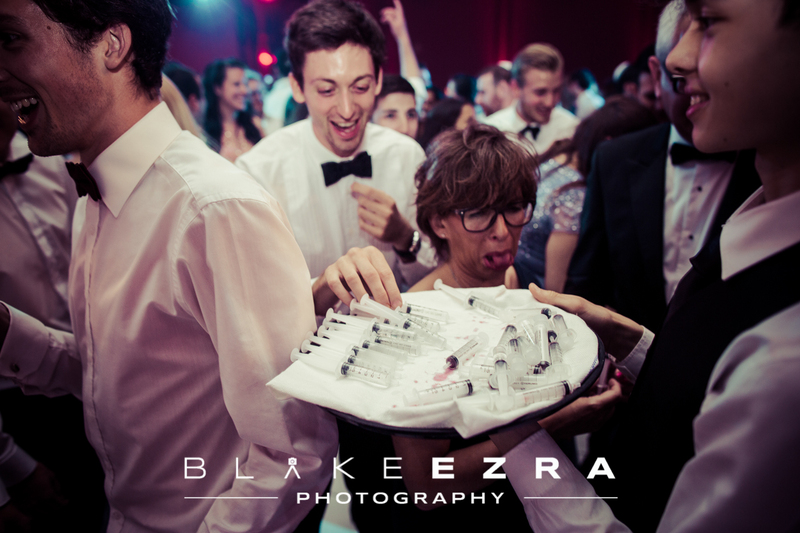 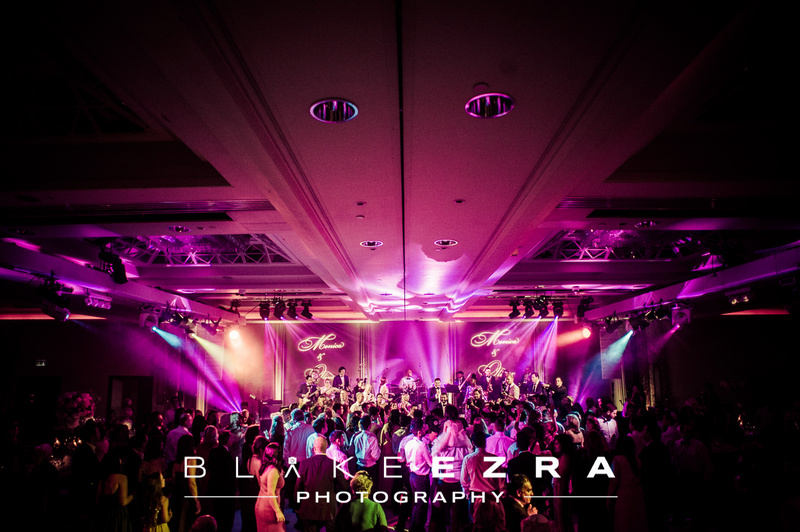 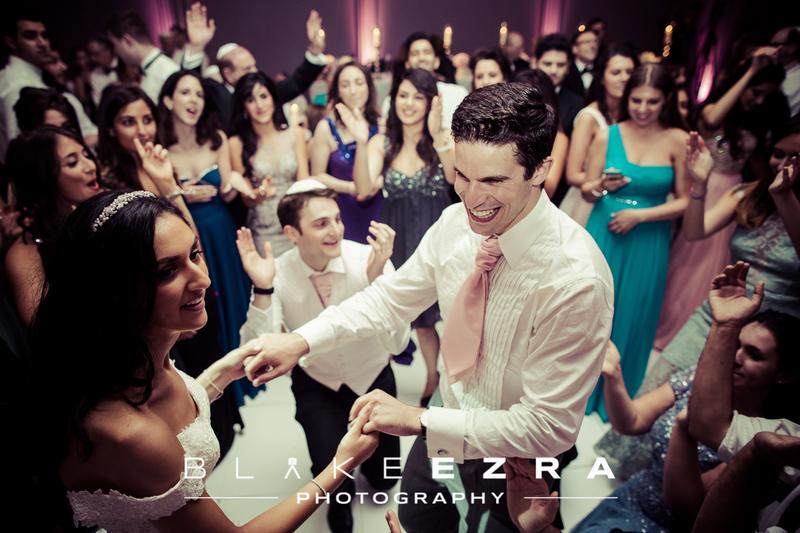 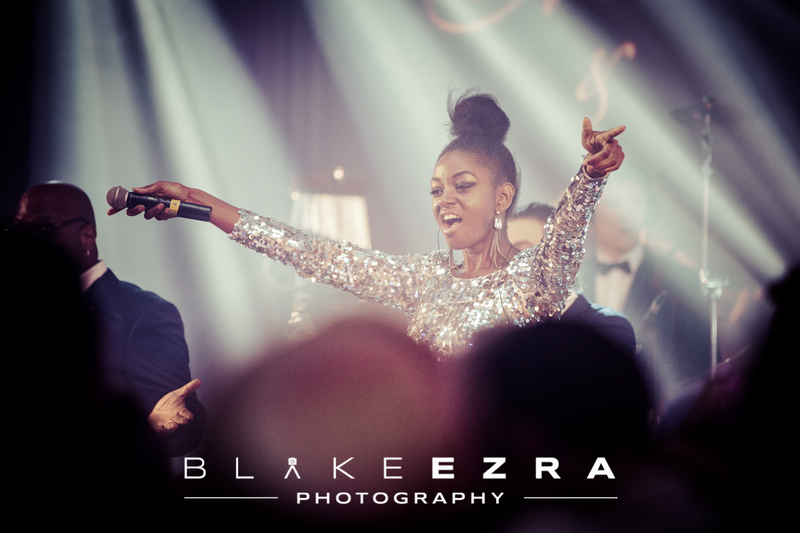 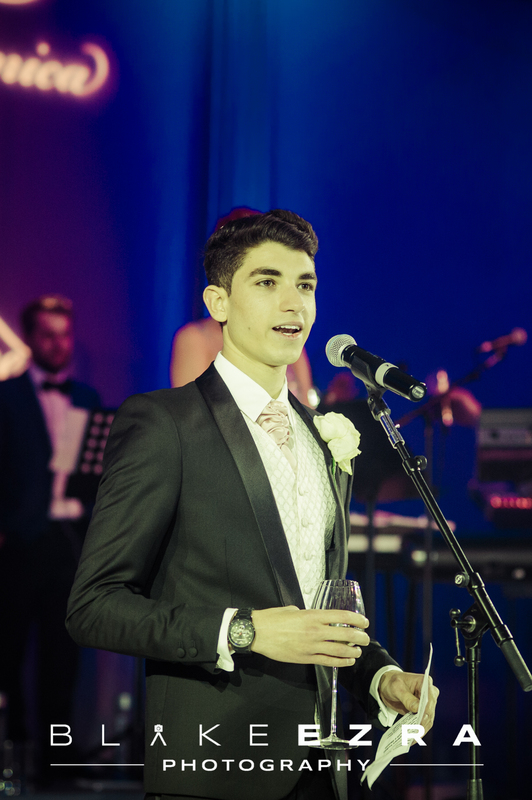 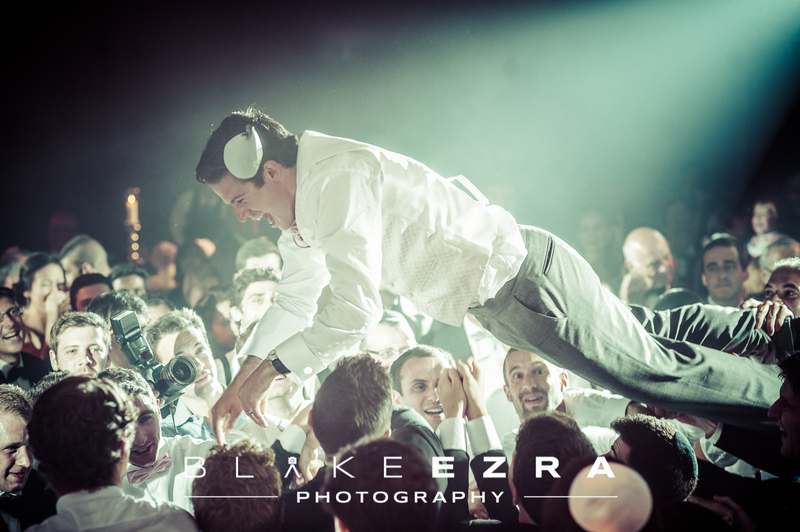 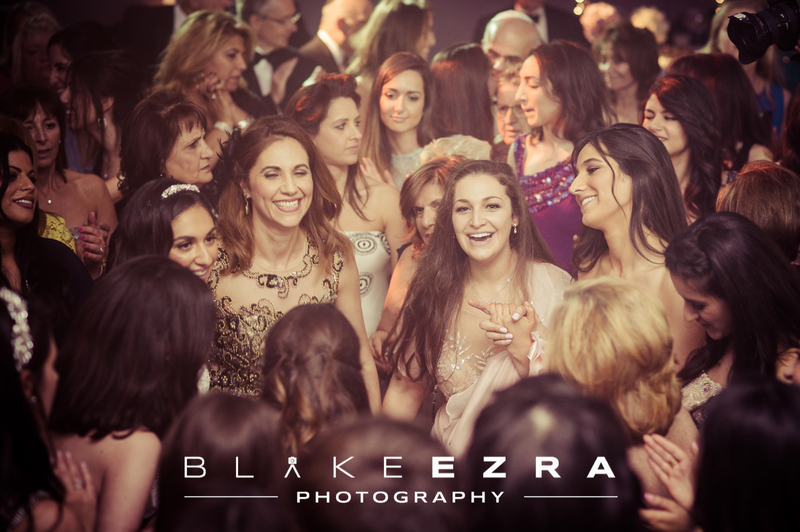 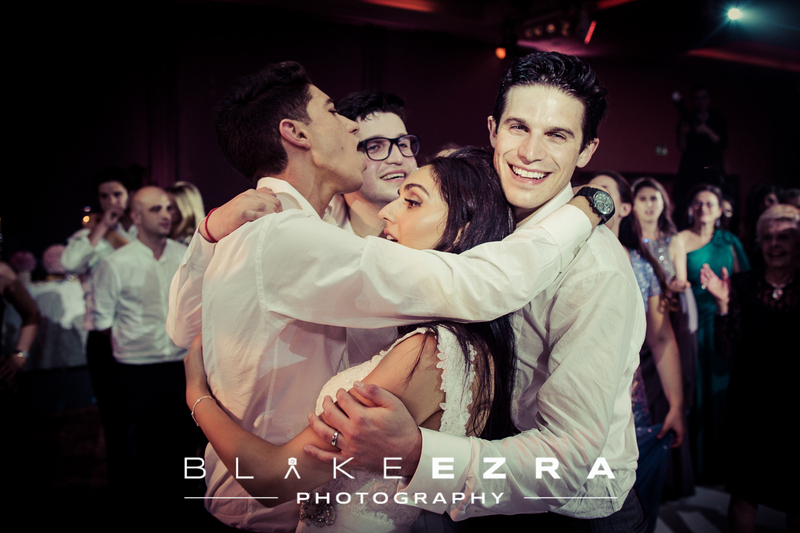 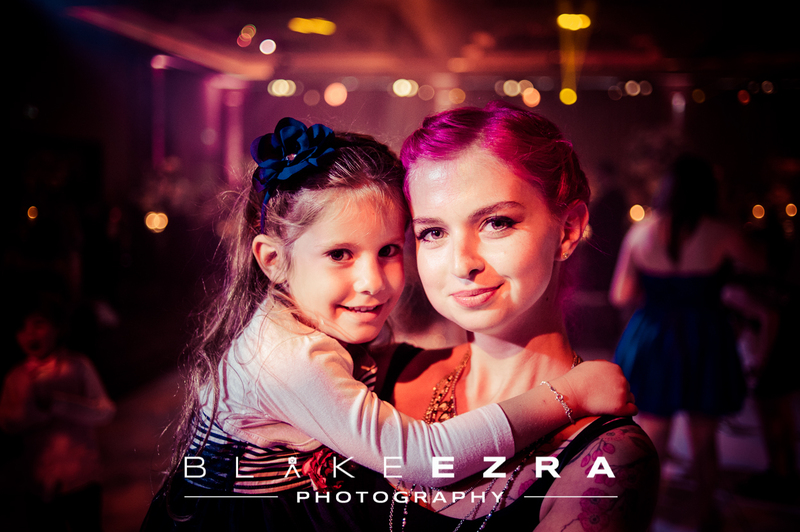 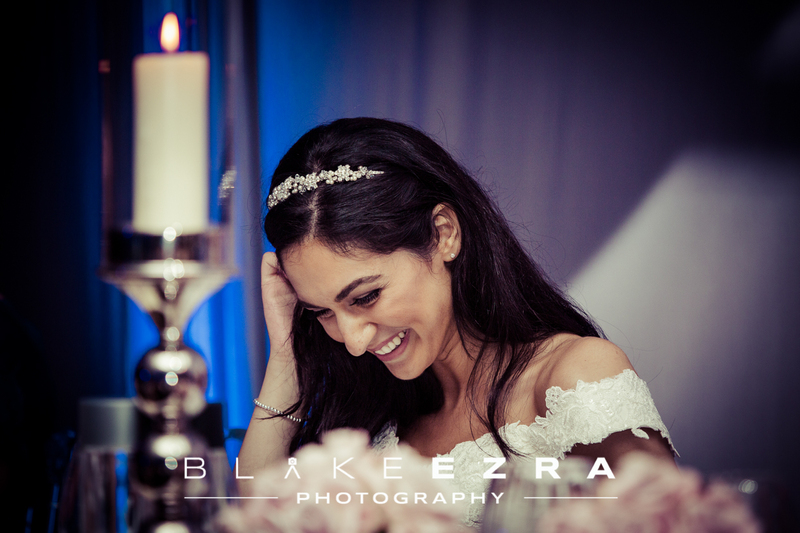 Guests then headed across to Lancaster London, on the edge of Hyde Park, for an epic celebration fuelled by the breathtaking energy and musical panache of Muzika Showband. 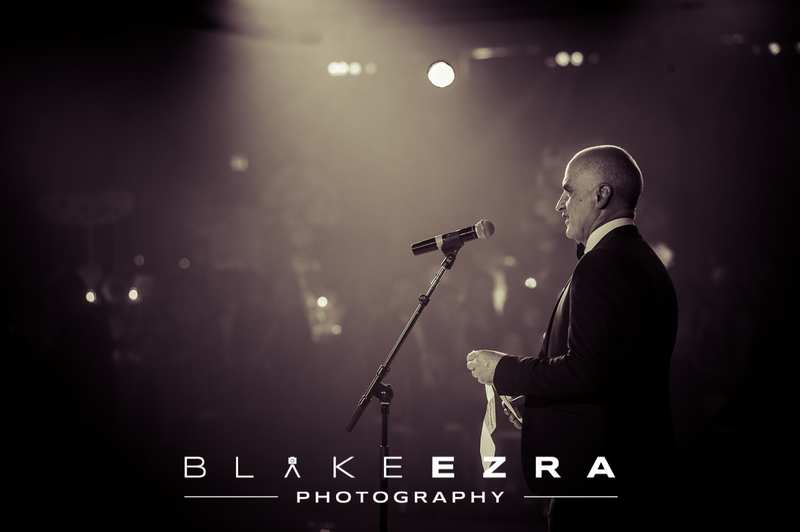 The evening was a real treat, with bouts of super-charged dancing, some wonderful speeches, and a fine meal provided by the one and only Tony Page. 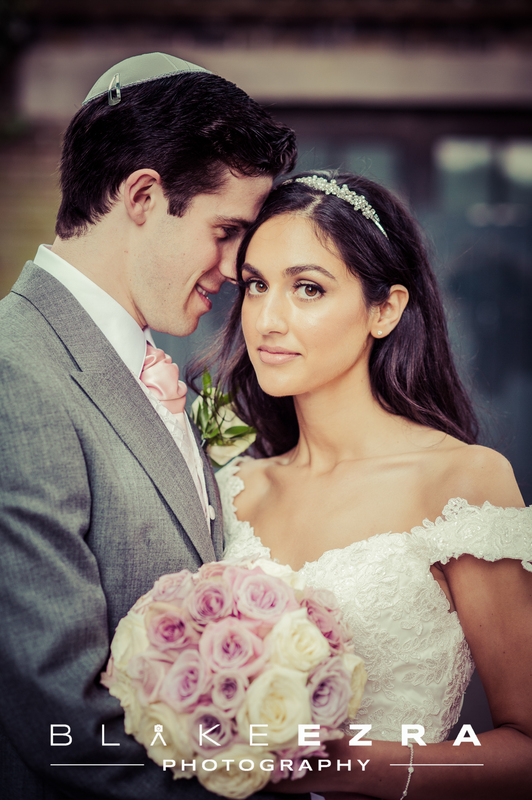 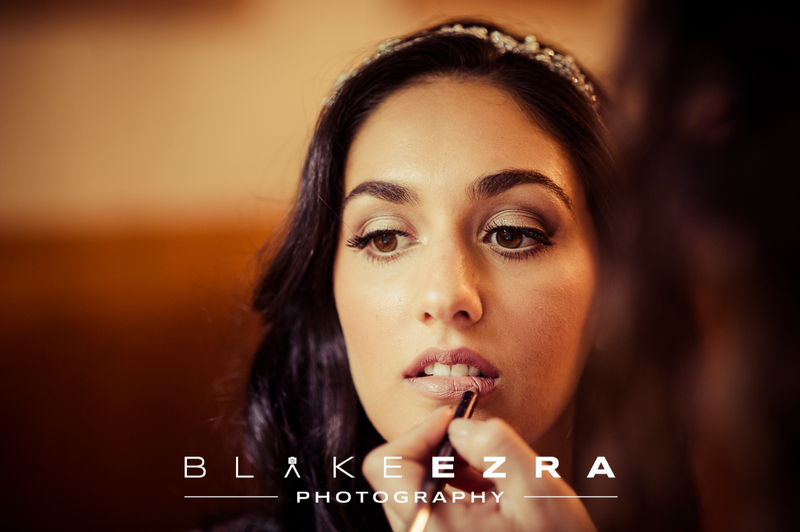 It’s clear to see that Oliver made for a very handsome Groom, and Monica a stunning bride, with her make up tended to by Nikki Wolff. 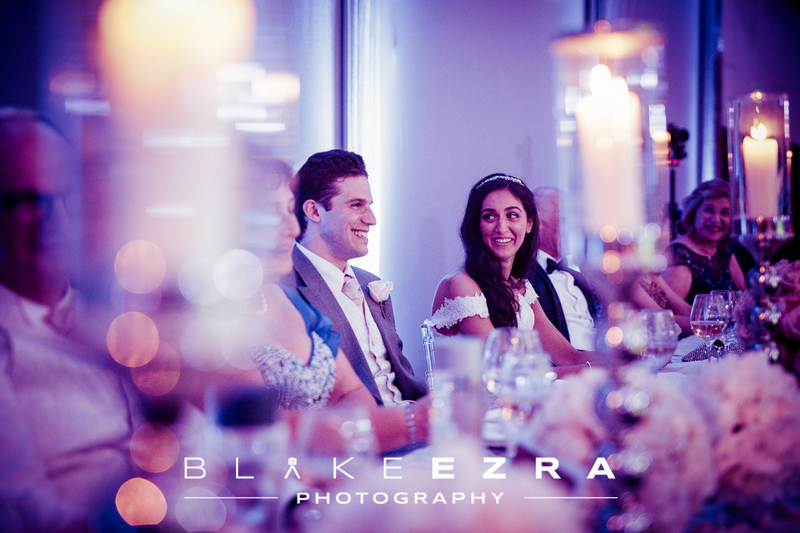 However, more important than this is the warmth they each exude and the love they have for each other, which was so palpable in the room. 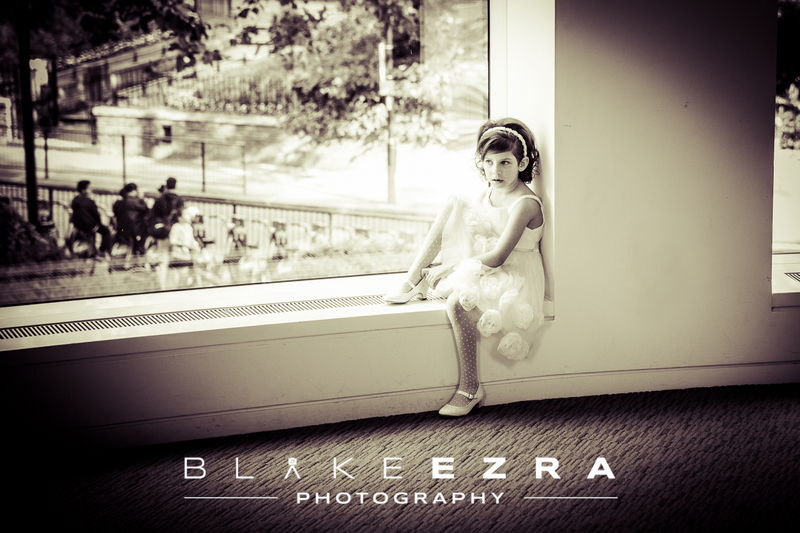 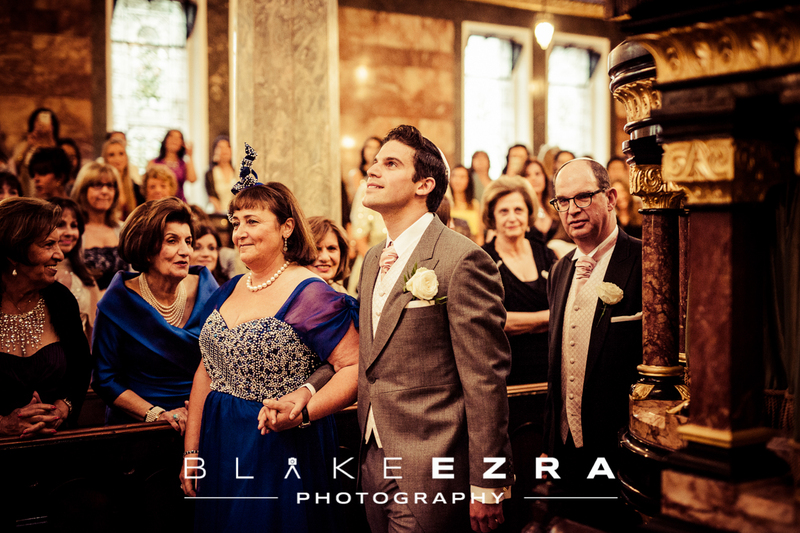 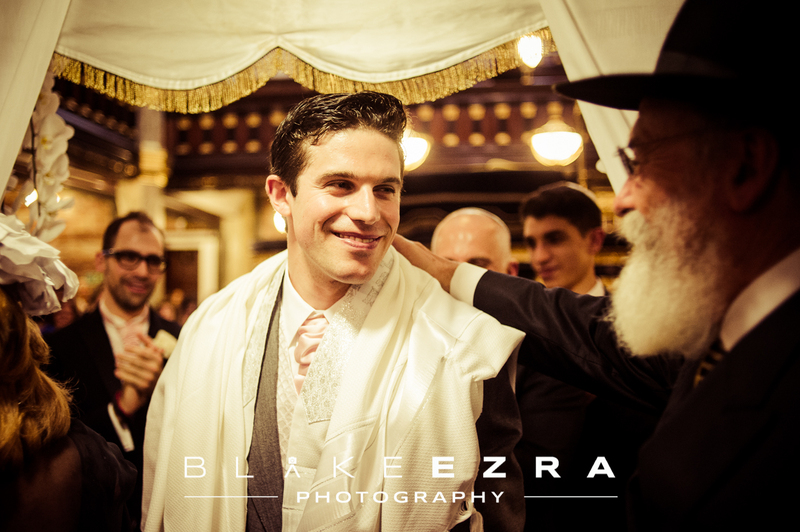 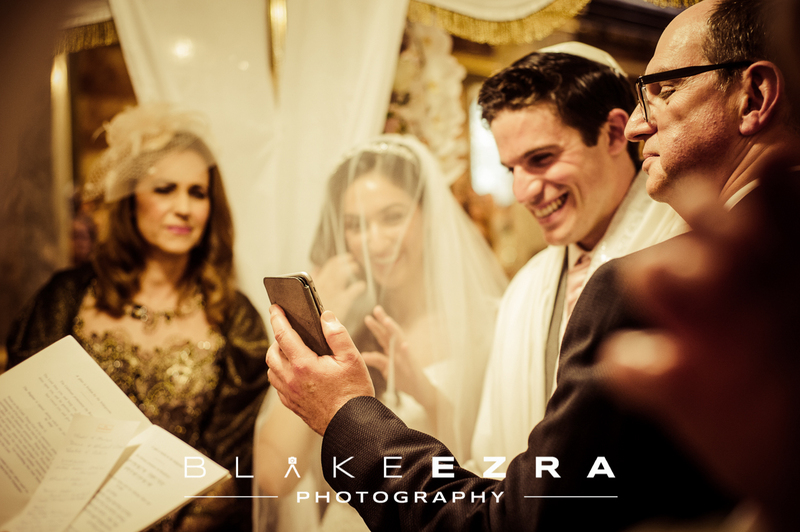 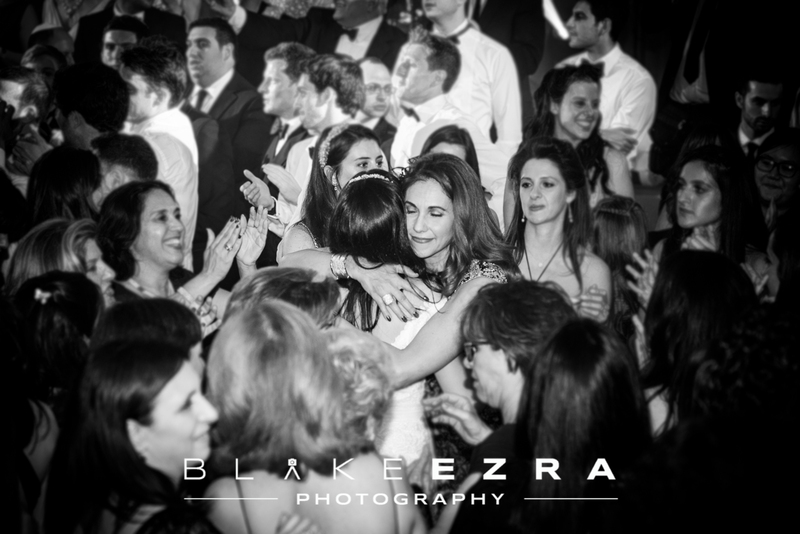 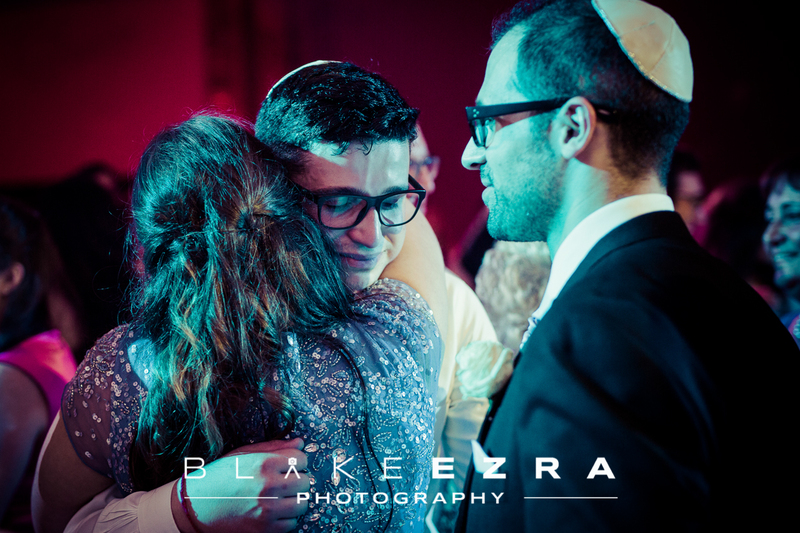 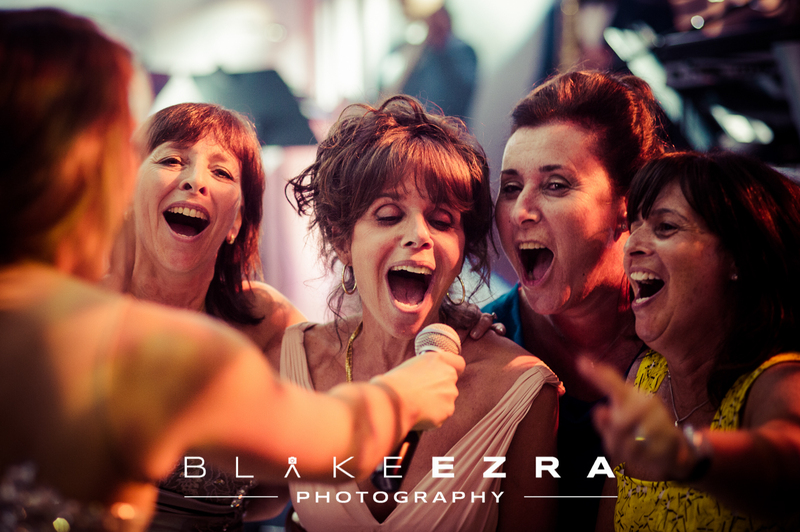 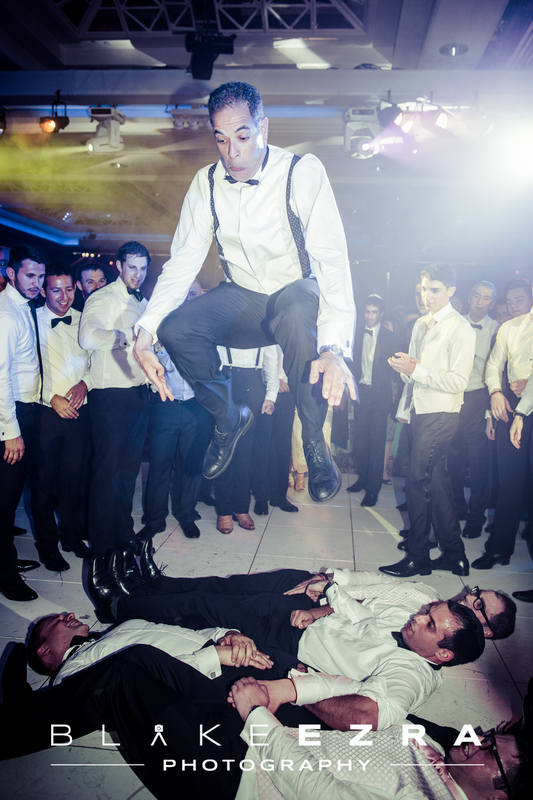 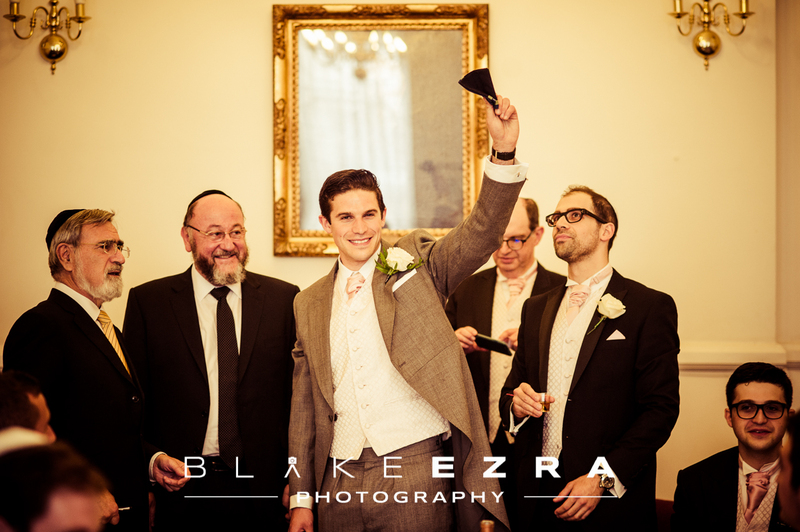 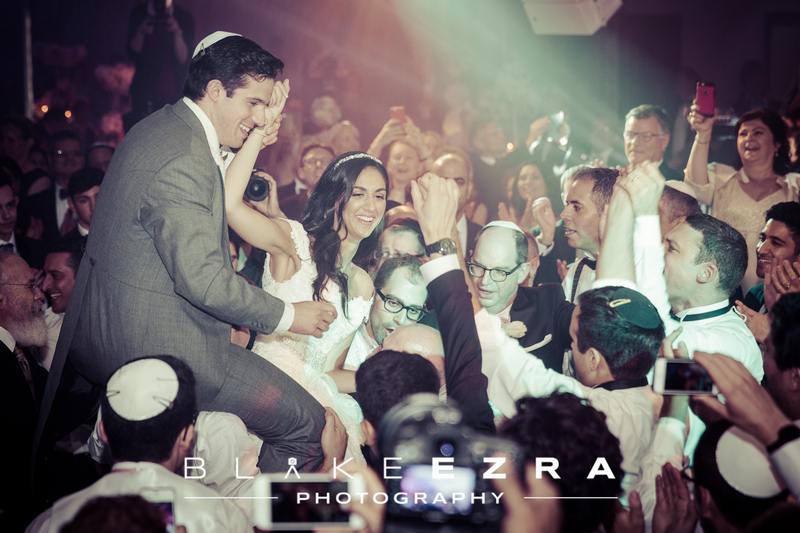 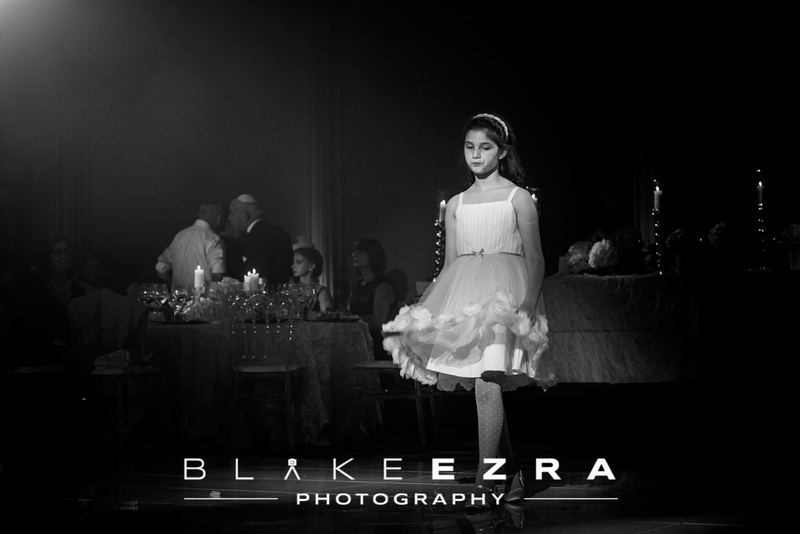 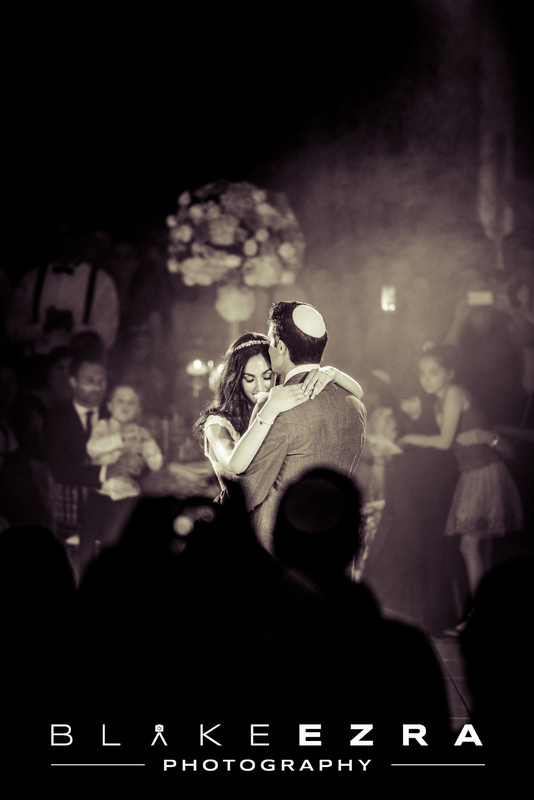 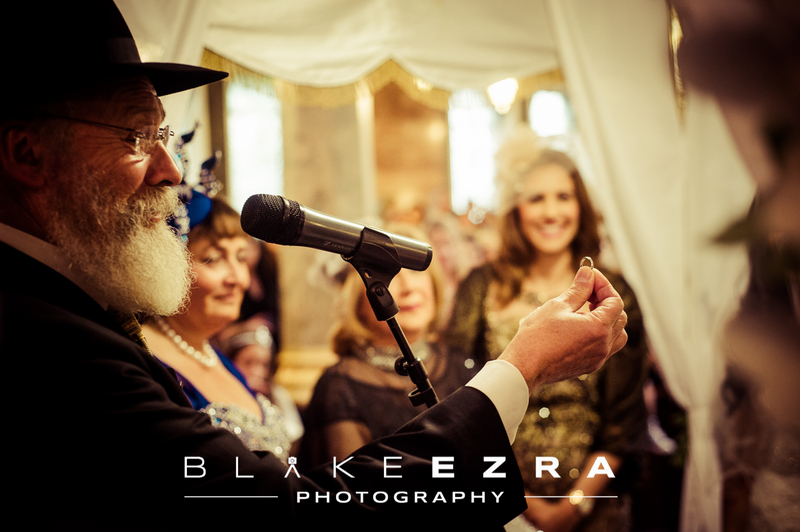 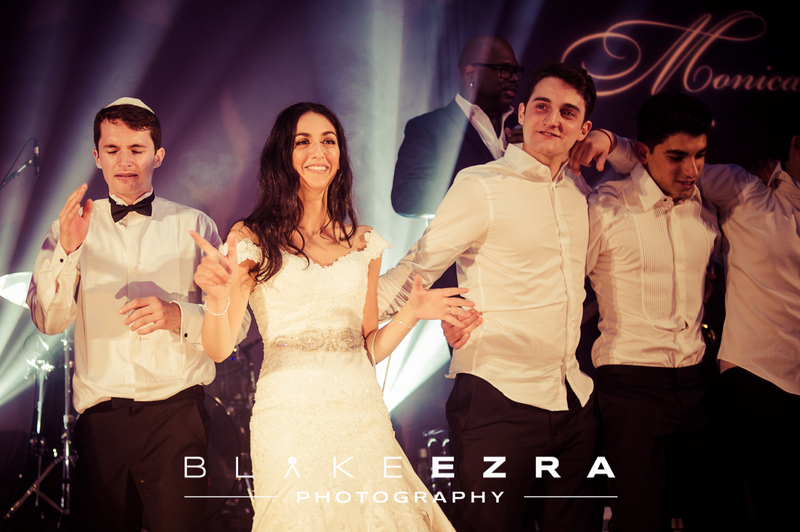 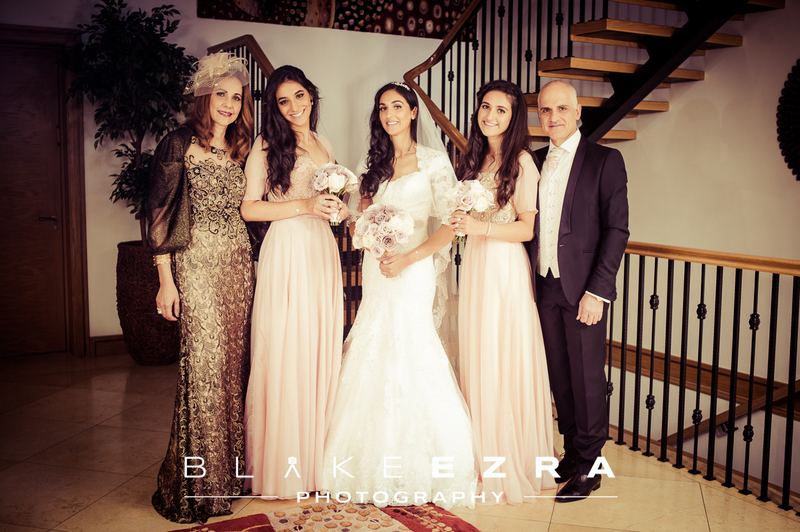 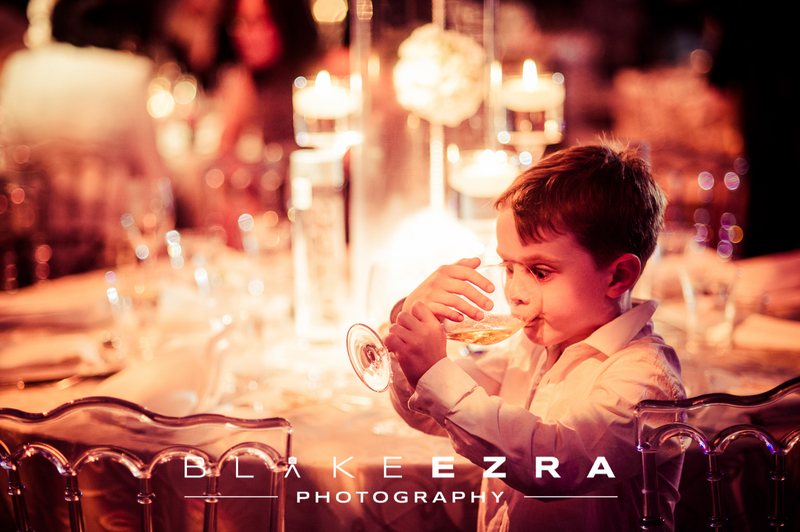 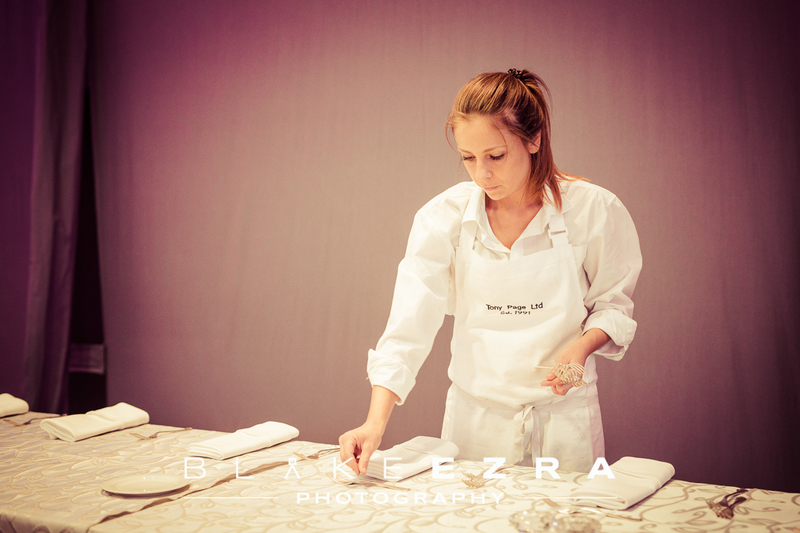 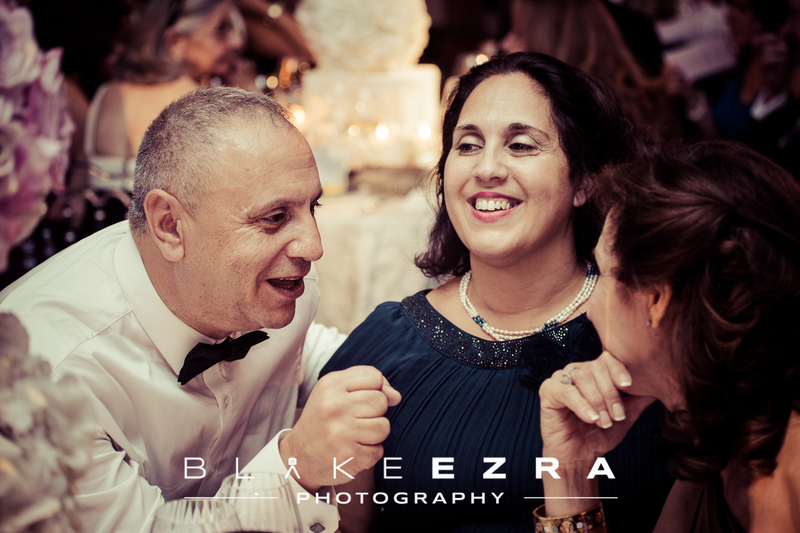 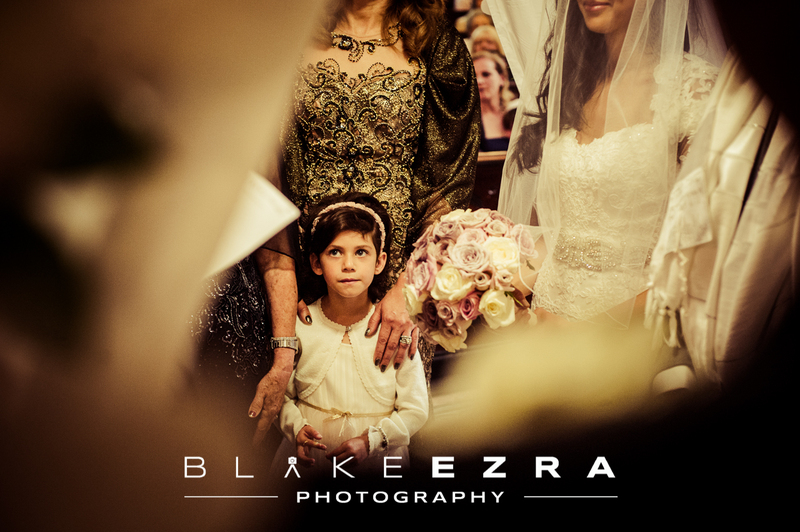 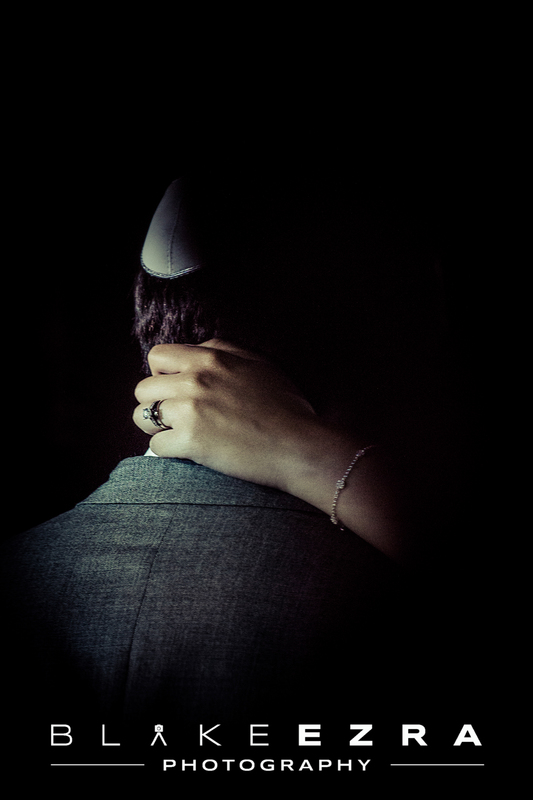 We wish a big Mazal Tov again to both incredible families and hope to join you again for your future Simachot.